“If we work together on an international level we will survive and thrive on Mars,” said, Bob Barboza, USA, Barboza Space Center. We have plans to offer more opportunities to women at an international level. We have fellowships for our international Mars community project. We need more women. Women in Russia are entering STEM (science, technology, engineering, and mathematics) fields at a higher rate than many of their Western counterparts, but there are still far less Russian women that men in the majority of these fields. Last year, the BBC and the Washington Post published articles discussing the role of women in STEM in Russia, asserting that Russia outpaces the West in encouraging women into STEM fields. To back up this claim, the articles showed that, according to UNESCO, “29% of people in scientific research worldwide are women, compared with 41% in Russia.” They also said that 15 percent of inventors in Russia are women, compared to just four percent in the UK. The reasons given for the higher number of women entering these fields in Russia were many. While interest in STEM drops precipitously at an early age in most other countries, often due to gender stereotypes, Russian girls view the field more positively and sustain their interest throughout their teenage years. They focus on the field as a potential employment opportunity, often based on the encouragement of parents, female role models in the field, and their teachers, who tend to be female as well. The articles both claimed that STEM is viewed as general neutral with no stigma attached, whereas, in the West, the field is viewed as more masculine with a lack of encouragement for young women to enter the field. However, Russian language sources did not quite echo the same positive sentiments as these Western publications. It is true that the Soviet Union prioritized scientific advancement as a national priority, and the USSR had a better record of training women in STEM than the US does even today. Technological and vocational education was made available to all Soviet citizens, and, from 1962 to 1964, forty percent of Soviet PhDs in chemistry went to women, while that number was just four percent in the US. Even as recently as 2012, women still only received 37 percent of US chemistry PhDs. However, according to Olga Uskova, the founder of Cognitive Technologies, the Soviet model endured for a few years after the end of the Soviet Union before the country switched to a pan-European model. While Russia may be doing better than the worldwide average encouraging women into STEM fields, there is still a wide gap between the number of Russian women and men in most of these careers. Women currently make up only about 14 percent of those in mathematics, computer science, and technology fields. In a poll conducted last year by My Circle, a Russian site for finding IT jobs, women made up only seven percent of those who claimed they were developers (for software, mobile, etc). This is true for universities as well. While the number of women enrolled in universities is around 57 percent, a smaller 46 percent of those who study science are women, and that number drops to only about 25 percent of those who study math. Young women are also less likely than men to reach their thesis defense, since they are more likely to leave and raise a family. In some areas, the number of women is growing, though men and women are still not represented equally. The number of women in programming has increased, and Cognitive Technologies noted that 35 percent of women in their company are now involved in complex projects involving programming and complicated math problems. Women in IT management at Alfa Bank have also increased by 20 percent in the last few years. Often, though, women in STEM fields occupy lower rungs in the career ladder than their male colleagues. In universities, around 70 percent of women are teachers or assistants, rather than deans or heads of departments. Similarly, in research institutes, women tend to be laboratory technicians or engineers instead of directors. Because of this, the gender pay gap in Russia also can be found in STEM fields, where women typically make 28 percent less than men. In IT fields, that number is even higher, with women making 33 percent less. This is actually a greater disparity than the current average 22-27 percent gap found generally in Russia. Women also note a lack of career growth, which keeps women from moving into those higher posts. Though the Western sources noted that STEM in Russia is gender neutral, most Russian sources did not agree. The idea of “feminine” and “masculine” industries has proven enduring with lower wages in the social sector, which is considered more feminine, versus engineering and other STEM disciplines, which are considered more masculine. Since Russian women are typically employed in the humanities (about 70-80 percent of all women) and men in more technical fields, this divide contributes to both the pay gap issue and the continuing idea of gender-specific career pursuits. The image of STEM as unfeminine causes some young Russian girls who would otherwise have the skills and interest to enter the field to instead pursue a different path, similar to young girls in Western countries. Some Russian women said they experienced no specific difficulties in their STEM careers. However, a number of other women noted hardships and stereotypes endured, including isolation from loved ones, condescension from colleagues, and derision from higher ups. Women stated that their scientific research was often not as appreciated as that of their male colleagues, and teachers tended to more often support the scientific work of male students. The complaints aren’t unique to women in STEM in Russia; rather, they go to show that the culture in STEM fields is roughly the same in Russia as it is in other countries. Unlike many large Western firms, it’s rare for Russian companies to have special initiatives for attracting women into their ranks, at least among IT companies polled. However, Russian businesses are beginning to look for ways to approach the gender issue and some companies are now aiming to equalize the number of men and women working on teams. With Russia already leading other parts of the world in attracting women to some STEM fields, such changes could help Russia maintain a lead in encouraging young women to become future engineers, mathematicians, scientists, and astronauts. This article is about the Mars rover. For its spaceflight mission, see Mars Science Laboratory. For its events on Mars, see Timeline of Mars Science Laboratory. Curiosity is a car-sized rover designed to explore the crater Gale on Mars as part of NASA‘s Mars Science Laboratorymission (MSL). Curiosity was launched from Cape Canaveral on November 26, 2011, at 15:02 UTC and landed on Aeolis Palus inside Gale on Mars on August 6, 2012, 05:17 UTC. The Bradbury Landing site was less than 2.4 km (1.5 mi) from the center of the rover’s touchdown target after a 560 million km (350 million mi) journey. 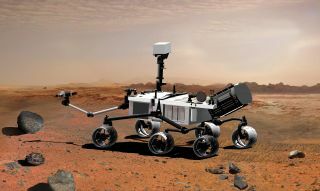 The rover’s goals include an investigation of the Martian climate and geology; assessment of whether the selected field site inside Gale has ever offered environmental conditions favorable for microbial life, including investigation of the role of water; and planetary habitability studies in preparation for human exploration. Curiosity‘s design serves as the basis for the planned Mars 2020 rover, that will carry different scientific instruments. Characterize the broad spectrum of surface radiation, including galactic and cosmic radiation, solar proton events and secondary neutrons. As part of its exploration, it also measured the radiation exposure in the interior of the spacecraft as it traveled to Mars, and it is continuing radiation measurements as it explores the surface of Mars. This data would be important for a future crewed mission. About one year into the surface mission, and having assessed that ancient Mars could have been hospitable to microbial life, the MSL mission objectives evolved to developing predictive models for the preservation process of organic compounds and biomolecules; a branch of paleontology called taphonomy. Curiosity comprised 23% of the mass of the 3,893 kg (8,583 lb) spacecraft at launch. The remaining mass was discarded in the process of transport and landing. Dimensions: Curiosity has a mass of 899 kg (1,982 lb) including 80 kg (180 lb) of scientific instruments. The rover is 2.9 m (9.5 ft) long by 2.7 m (8.9 ft) wide by 2.2 m (7.2 ft) in height. Power source: Curiosity is powered by a radioisotope thermoelectric generator (RTG), like the successful Viking 1 and Viking 2 Mars landers in 1976. Radioisotope power systems (RPSs) are generators that produce electricity from the decay of radioactive isotopes, such as plutonium-238, which is a non-fissile isotope of plutonium. Heat given off by the decay of this isotope is converted into electric voltage by thermocouples, providing constant power during all seasons and through the day and night. Waste heat is also used via pipes to warm systems, freeing electrical power for the operation of the vehicle and instruments. 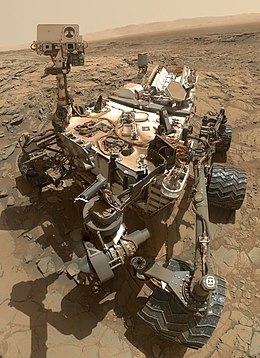 Curiosity‘s RTG is fueled by 4.8 kg (11 lb) of plutonium-238 dioxide supplied by the U.S. Department of Energy. Curiosity’s RTG is the Multi-Mission Radioisotope Thermoelectric Generator (MMRTG), designed and built by Rocketdyne and Teledyne Energy Systems under contract to the U.S. Department of Energy, and assembled and tested by the Idaho National Laboratory. Based on legacy RTG technology, it represents a more flexible and compact development step, and is designed to produce 110 watts of electrical power and about 2,000 watts of thermal power at the start of the mission. The MMRTG produces less power over time as its plutonium fuel decays: at its minimum lifetime of 14 years, electrical power output is down to 100 watts. The power source generates 9 MJ (2.5 kWh) each day, much more than the solar panels of the now retired Mars Exploration Rovers, which generated about 2.1 MJ (0.58 kWh) each day. The electrical output from the MMRTG charges two rechargeable lithium-ion batteries. This enables the power subsystem to meet peak power demands of rover activities when the demand temporarily exceeds the generator’s steady output level. Each battery has a capacity of about 42 ampere-hours. Heat rejection system: The temperatures at the landing site can vary from −127 to 40 °C (−197 to 104 °F); therefore, the thermal system warms the rover for most of the Martian year. The thermal system does so in several ways: passively, through the dissipation to internal components; by electrical heaters strategically placed on key components; and by using the rover heat rejection system (HRS). It uses fluid pumped through 60 m (200 ft) of tubing in the rover body so that sensitive components are kept at optimal temperatures. The fluid loop serves the additional purpose of rejecting heat when the rover has become too warm, and it can also gather waste heat from the power source by pumping fluid through two heat exchangers that are mounted alongside the RTG. The HRS also has the ability to cool components if necessary. Computers: The two identical on-board rover computers, called Rover Computer Element (RCE) contain radiation hardened memory to tolerate the extreme radiation from space and to safeguard against power-off cycles. The computers run the VxWorks real-time operating system (RTOS). Each computer’s memory includes 256 kB of EEPROM, 256 MB of DRAM, and 2 GB of flash memory. For comparison, the Mars Exploration Rovers used 3 MB of EEPROM, 128 MB of DRAM, and 256 MB of flash memory. The RCE computers use the RAD750 CPU, which is a successor to the RAD6000 CPU of the Mars Exploration Rovers. The RAD750 CPU, a radiation-hardened version of the PowerPC 750, can execute up to 400 MIPS, while the RAD6000 CPU is capable of up to only 35 MIPS. Of the two on-board computers, one is configured as backup and will take over in the event of problems with the main computer. On February 28, 2013, NASA was forced to switch to the backup computer due to an issue with the active computer’s flash memory, which resulted in the computer continuously rebooting in a loop. The backup computer was turned on in safe mode and subsequently returned to active status on March 4. The same issue happened in late March, resuming full operations on March 25, 2013. The rover has an inertial measurement unit (IMU) that provides 3-axis information on its position, which is used in rover navigation. The rover’s computers are constantly self-monitoring to keep the rover operational, such as by regulating the rover’s temperature. Activities such as taking pictures, driving, and operating the instruments are performed in a command sequence that is sent from the flight team to the rover. The rover installed its full surface operations software after the landing because its computers did not have sufficient main memory available during flight. The new software essentially replaced the flight software. The rover has four processors. One of them is a SPARC processor that ran the rover’s thrusters and descent-stage motors as it descended through the Martian atmosphere. Two others are PowerPC processors: the main processor, which handles nearly all of the rover’s ground functions, and that processor’s backup. The fourth one, another SPARC processor, commands the rover’s movement and is part of its motor controller box. All four processors are single core. Curiosity transmits to Earth directly or via three relay satellites in Mars orbit. Communications: Curiosity is equipped with significant telecommunication redundancy by several means: an X band transmitter and receiver that can communicate directly with Earth, and a UHF Electra-Lite software-defined radio for communicating with Mars orbiters. Communication with orbiters is the main path for data return to Earth, since the orbiters have both more power and larger antennas than the lander, allowing for faster transmission speeds. Telecommunication included a small deep space transponder on the descent stage and a solid-state power amplifier on the rover for X band. The rover also has two UHF radios, the signals of which orbiting relay satellites are capable of relaying back to Earth. Signals between Earth and Mars take an average of 14 minutes, 6 seconds. Curiosity can communicate with Earth directly at speeds up to 32 kbit/s, but the bulk of the data transfer is being relayed through the Mars Reconnaissance Orbiter and Odyssey orbiter. Data transfer speeds between Curiosity and each orbiter may reach 2000 kbit/s and 256 kbit/s, respectively, but each orbiter is able to communicate with Curiosity for only about eight minutes per day (0.56% of the time).Communication from and to Curiosity relies on internationally agreed space data communications protocols as defined by the Consultative Committee for Space Data Systems. JPL is the central data distribution hub where selected data products are provided to remote science operations sites as needed. JPL is also the central hub for the uplink process, though participants are distributed at their respective home institutions. At landing, telemetry was monitored by three orbiters, depending on their dynamic location: the 2001 Mars Odyssey, Mars Reconnaissance Orbiter and ESA’s Mars Express satellite. As of February 2019, the MAVEN orbiter is being positioned to serve as a relay orbiter while continuing its science mission. Mobility systems: Curiosity is equipped with six 50 cm (20 in) diameter wheels in a rocker-bogie suspension. The suspension system also served as landing gear for the vehicle, unlike its smaller predecessors. Each wheel has cleats and is independently actuated and geared, providing for climbing in soft sand and scrambling over rocks. Each front and rear wheel can be independently steered, allowing the vehicle to turn in place as well as execute arcing turns. Each wheel has a pattern that helps it maintain traction but also leaves patterned tracks in the sandy surface of Mars. That pattern is used by on-board cameras to estimate the distance traveled. The pattern itself is Morse code for “JPL” (·— ·–· ·-··). The rover is capable of climbing sand dunes with slopes up to 12.5°. Based on the center of mass, the vehicle can withstand a tilt of at least 50° in any direction without overturning, but automatic sensors limit the rover from exceeding 30° tilts. After two years of use, the wheels are visibly worn with punctures and tears. Curiosity can roll over obstacles approaching 65 cm (26 in) in height, and it has a ground clearance of 60 cm (24 in). Based on variables including power levels, terrain difficulty, slippage and visibility, the maximum terrain-traverse speed is estimated to be 200 m (660 ft) per day by automatic navigation. The rover landed about 10 km (6.2 mi) from the base of Mount Sharp, (officially named Aeolis Mons) and it is expected to traverse a minimum of 19 km (12 mi) during its primary two-year mission. It can travel up to 90 m (300 ft) per hour but average speed is about 30 m (98 ft) per hour. The vehicle is ‘driven’ by several operators lead by Vandi Verma, currently group leader of Autonomous Systems, Mobility and Robotic Systems at JPL, who also cowrote the PLEXIL language used to operate the rover. The general sample analysis strategy begins with high-resolution cameras to look for features of interest. If a particular surface is of interest, Curiosity can vaporize a small portion of it with an infrared laser and examine the resulting spectra signature to query the rock’s elemental composition. If that signature is intriguing, the rover uses its long arm to swing over a microscope and an X-ray spectrometer to take a closer look. If the specimen warrants further analysis, Curiosity can drill into the boulder and deliver a powdered sample to either the SAM or the CheMinanalytical laboratories inside the rover. The MastCam, Mars Hand Lens Imager (MAHLI), and Mars Descent Imager (MARDI) cameras were developed by Malin Space Science Systems and they all share common design components, such as on-board electronic imaging processing boxes, 1600×1200 CCDs, and an RGB Bayer pattern filter. In total, the rover carries 17 cameras: HazCams (8), NavCams (4), MastCams (2), MAHLI (1), MARDI (1), and ChemCam (1). The turret at the end of the robotic arm holds five devices. The MastCam system provides multiple spectra and true-color imaging with two cameras. The cameras can take true-color images at 1600×1200 pixels and up to 10 frames per second hardware-compressed video at 720p(1280×720). One MastCam camera is the Medium Angle Camera (MAC), which has a 34 mm (1.3 in) focal length, a 15° field of view, and can yield 22 cm/pixel (8.7 in/pixel) scale at 1 km (0.62 mi). The other camera in the MastCam is the Narrow Angle Camera (NAC), which has a 100 mm (3.9 in) focal length, a 5.1° field of view, and can yield 7.4 cm/pixel (2.9 in/pixel) scale at 1 km (0.62 mi). Malin also developed a pair of MastCams with zoom lenses, but these were not included in the rover because of the time required to test the new hardware and the looming November 2011 launch date. However, the improved zoom version was selected to be incorporated on the upcoming Mars 2020 mission as Mastcam-Z. Each camera has eight gigabytes of flash memory, which is capable of storing over 5,500 raw images, and can apply real time lossless data compression. The cameras have an autofocus capability that allows them to focus on objects from 2.1 m (6 ft 11 in) to infinity.In addition to the fixed RGBG Bayer pattern filter, each camera has an eight-position filter wheel. While the Bayer filter reduces visible light throughput, all three colors are mostly transparent at wavelengths longer than 700 nm, and have minimal effect on such infrared observations. ChemCam is a suite of two remote sensing instruments combined as one: a laser-induced breakdown spectroscopy (LIBS) and a Remote Micro Imager (RMI) telescope. The ChemCam instrument suite was developed by the French CESR laboratory and the Los Alamos National Laboratory. The flight model of the mast unit was delivered from the French CNES to Los Alamos National Laboratory. The purpose of the LIBS instrument is to provide elemental compositions of rock and soil, while the RMI gives ChemCam scientists high-resolution images of the sampling areas of the rocks and soil that LIBS targets. The LIBS instrument can target a rock or soil sample up to 7 m (23 ft) away, vaporizing a small amount of it with about 50 to 75 5-nanosecond pulses from a 1067 nminfrared laser and then observes the spectrum of the light emitted by the vaporized rock. ChemCam has the ability to record up to 6,144 different wavelengths of ultraviolet, visible, and infrared light. Detection of the ball of luminous plasma is done in the visible, near-UV and near-infrared ranges, between 240 nm and 800 nm. The first initial laser testing of the ChemCam by Curiosity on Mars was performed on a rock, N165 (“Coronation” rock), near Bradbury Landing on August 19, 2012. The ChemCam team expects to take approximately one dozen compositional measurements of rocks per day. Using the same collection optics, the RMI provides context images of the LIBS analysis spots. The RMI resolves 1 mm (0.039 in) objects at 10 m (33 ft) distance, and has a field of view covering 20 cm (7.9 in) at that distance. The rover has two pairs of black and white navigation cameras mounted on the mast to support ground navigation. The cameras have a 45° angle of view and use visible light to capture stereoscopic 3-D imagery. REMS comprises instruments to measure the Mars environment: humidity, pressure, temperatures, wind speeds, and ultraviolet radiation. It is a meteorological package that includes an ultraviolet sensor provided by the Spanish Ministry of Education and Science. The investigative team is led by Javier Gómez-Elvira of the Spanish Astrobiology Center and includes the Finnish Meteorological Institute as a partner. 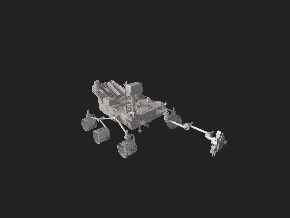 All sensors are located around three elements: two booms attached to the rover’s mast, the Ultraviolet Sensor (UVS) assembly located on the rover top deck, and the Instrument Control Unit (ICU) inside the rover body. REMS provides new clues about the Martian general circulation, micro scale weather systems, local hydrological cycle, destructive potential of UV radiation, and subsurface habitability based on ground-atmosphere interaction. The rover has four pairs of black and white navigation cameras called hazcams, two pairs in the front and two pairs in the back. They are used for autonomous hazard avoidance during rover drives and for safe positioning of the robotic arm on rocks and soils. Each camera in a pair is hardlinked to one of two identical main computers for redundancy; only four out of the eight cameras are in use at any one time. The cameras use visible light to capture stereoscopic three-dimensional (3-D) imagery. The cameras have a 120° field of view and map the terrain at up to 3 m (9.8 ft) in front of the rover. This imagery safeguards against the rover crashing into unexpected obstacles, and works in tandem with software that allows the rover to make its own safety choices. MAHLI is a camera on the rover’s robotic arm, and acquires microscopic images of rock and soil. MAHLI can take true-color images at 1600×1200 pixels with a resolution as high as 14.5 micrometers per pixel. MAHLI has an 18.3 to 21.3 mm (0.72 to 0.84 in) focal length and a 33.8–38.5° field of view. MAHLI has both white and ultraviolet LEDillumination for imaging in darkness or fluorescence imaging. MAHLI also has mechanical focusing in a range from infinite to millimetre distances. This system can make some images with focus stacking processing. MAHLI can store either the raw images or do real time lossless predictive or JPEG compression. The calibration target for MAHLI includes color references, a metric bar graphic, a 1909 VDB Lincoln penny, and a stairstep pattern for depth calibration. The APXS instrument irradiates samples with alpha particles and maps the spectra of X-rays that are re-emitted for determining the elemental composition of samples.Curiosity‘s APXS was developed by the Canadian Space Agency. MacDonald Dettwiler (MDA), the Canadian aerospace company that built the Canadarm and RADARSAT, were responsible for the engineering design and building of the APXS. The APXS science team includes members from the University of Guelph, the University of New Brunswick, the University of Western Ontario, NASA, the University of California, San Diego and Cornell University. The APXS instrument takes advantage of particle-induced X-ray emission (PIXE) and X-ray fluorescence, previously exploited by the Mars Pathfinder and the two Mars Exploration Rovers. Curiosity‘s CheMin Spectrometer on Mars (September 11, 2012), with sample inlet seen closed and open. 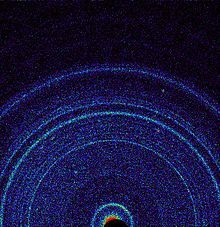 First X-ray diffraction view of Martian soil (Curiosity at Rocknest, October 17, 2012). CheMin is the Chemistry and Mineralogy X-ray powder diffraction and fluorescence instrument. CheMin is one of four spectrometers. It can identify and quantify the abundance of the minerals on Mars. It was developed by David Blake at NASA Ames Research Center and the Jet Propulsion Laboratory, and won the 2013 NASA Government Invention of the year award. The rover can drill samples from rocks and the resulting fine powder is poured into the instrument via a sample inlet tube on the top of the vehicle. A beam of X-rays is then directed at the powder and the crystal structure of the minerals deflects it at characteristic angles, allowing scientists to identify the minerals being analyzed. On October 17, 2012, at “Rocknest“, the first X-ray diffraction analysis of Martian soil was performed. The results revealed the presence of several minerals, including feldspar, pyroxenes and olivine, and suggested that the Martian soil in the sample was similar to the “weathered basaltic soils” of Hawaiian volcanoes. The paragonetic tephra from a Hawaiian cinder cone has been mined to create Martian regolith simulant for researchers to use since 1998. The SAM instrument suite analyzes organics and gases from both atmospheric and solid samples. It consists of instruments developed by the NASA Goddard Space Flight Center, the Laboratoire Inter-Universitaire des Systèmes Atmosphériques (LISA) (jointly operated by France’s CNRS and Parisian universities), and Honeybee Robotics, along with many additional external partners. The three main instruments are a Quadrupole Mass Spectrometer(QMS), a gas chromatograph (GC) and a tunable laser spectrometer (TLS). These instruments perform precision measurements of oxygen and carbon isotope ratios in carbon dioxide (CO2) and methane (CH4) in the atmosphere of Mars in order to distinguish between their geochemical or biological origin. The Dust Removal Tool (DRT) is a motorized, wire-bristle brush on the turret at the end of Curiosity‘s arm. The DRT was first used on a rock target named Ekwir_1 on January 6, 2013. Honeybee Robotics built the DRT. The role of the RAD instrument is to characterize the broad spectrum of radiation environment found inside the spacecraft during the cruise phase and while on Mars. These measurements have never been done before from the inside of a spacecraft in interplanetary space. Its primary purpose is to determine the viability and shielding needs for potential human explorers, as well as to characterize the radiation environment on the surface of Mars, which it started doing immediately after MSL landed in August 2012. Funded by the Exploration Systems Mission Directorate at NASA Headquarters and Germany’s Space Agency (DLR), RAD was developed by Southwest Research Institute (SwRI) and the extraterrestrial physics group at Christian-Albrechts-Universität zu Kiel, Germany. The DAN instrument employs a neutron source and detector for measuring hydrogen or ice and water at or near the Martian surface. It was provided by the Russian Federal Space Agency, and funded by Russia. MARDI was fixed to the lower front left corner of the body of Curiosity. During the descent to the Martian surface, MARDI took color images at 1600×1200 pixels with a 1.3-millisecond exposure time starting at distances of about 3.7 km (2.3 mi) to near 5 m (16 ft) from the ground, at a rate of four frames per second for about two minutes. MARDI has a pixel scale of 1.5 m (4.9 ft) at 2 km (1.2 mi) to 1.5 mm (0.059 in) at 2 m (6.6 ft) and has a 90° circular field of view. MARDI has eight gigabytes of internal buffer memory that is capable of storing over 4,000 raw images. MARDI imaging allowed the mapping of surrounding terrain and the location of landing. JunoCam, built for the Juno spacecraft, is based on MARDI. First drill tests (John Klein rock, Yellowknife Bay, February 2, 2013). The rover has a 2.1 m (6.9 ft) long robotic arm with a cross-shaped turret holding five devices that can spin through a 350° turning range. The arm makes use of three joints to extend it forward and to stow it again while driving. It has a mass of 30 kg (66 lb) and its diameter, including the tools mounted on it, is about 60 cm (24 in). It was designed, built, and tested by MDA US Systems, building upon their prior robotic arm work on the Mars Surveyor 2001 Lander, the Phoenix lander, and the two Mars Exploration Rovers, Spirit and Opportunity. Two of the five devices are in-situ or contact instruments known as the X-ray spectrometer (APXS), and the Mars Hand Lens Imager (MAHLI camera). The remaining three are associated with sample acquisition and sample preparation functions: a percussion drill; a brush; and mechanisms for scooping, sieving, and portioning samples of powdered rock and soil. The diameter of the hole in a rock after drilling is 1.6 cm (0.63 in) and up to 5 cm (2.0 in) deep. The drill carries two spare bits. The rover’s arm and turret system can place the APXS and MAHLI on their respective targets, and also obtain powdered sample from rock interiors, and deliver them to the SAMand CheMin analyzers inside the rover. Since early 2015 the percussive mechanism in the drill that helps chisel into rock has had an intermittent electrical short. On December 1, 2016, the motor inside the drill caused a malfunction that prevented the rover from moving its robotic arm and driving to another location. The fault was isolated to the drill feed brake, and internal debris is suspected of causing the problem. By December 9, driving and robotic arm operations were cleared to continue, but drilling remained suspended indefinitely. The Curiosity team continued to perform diagnostics and testing on the drill mechanism throughout 2017, and resumed drilling operations on May 22, 2018. 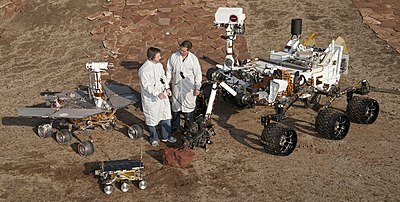 Two Jet Propulsion Laboratory engineers stand with three vehicles, providing a size comparison of three generations of Mars rovers. Front and center is the flight spare for the first Mars rover, Sojourner, which landed on Mars in 1997 as part of the Mars Pathfinder Project. On the left is a Mars Exploration Rover (MER) test vehicle that is a working sibling to Spirit and Opportunity, which landed on Mars in 2004. On the right is a test rover for the Mars Science Laboratory, which landed Curiosity on Mars in 2012. Sojourner is 65 cm (2.13 ft) long. The Mars Exploration Rovers (MER) are 1.6 m (5.2 ft) long. Curiosity on the right is 3 m (9.8 ft) long. Curiosity has an advanced payload of scientific equipment on Mars. It is the fourth NASA robotic rover sent to Mars since 1996. Previous successful Mars rovers are Sojourner from the Mars Pathfinder mission (1997), and Spirit (2004–2010) and Opportunity (2004–2019) rovers from the Mars Exploration Rovermission. Curiosity is 2.9 m (9.5 ft) long by 2.7 m (8.9 ft) wide by 2.2 m (7.2 ft) in height, larger than Mars Exploration Rovers, which are 1.5 m (4.9 ft) long and have a mass of 174 kg (384 lb) including 6.8 kg (15 lb) of scientific instruments. In comparison to Pancam on the Mars Exploration Rovers, the MastCam-34 has 1.25× higher spatial resolution and the MastCam-100 has 3.67× higher spatial resolution. The region the rover is set to explore has been compared to the Four Corners region of the North American west. Colin Pillinger, leader of the Beagle 2 project, reacted emotionally to the large number of technicians monitoring Curiosity‘s descent, because Beagle 2 had only four people monitoring it. The Beagle 2 team made a virtue out of necessity; it was known that there was no chance of obtaining funds in Europe, at that time, of the scale previously considered necessary for a Mars rover, so the team used innovative methods to reduce the cost to less than 4% of the cost of the Curiosity mission. They also had only one shot, with no funding for repeat missions (it was named Beagle 2 as a successor to HMS Beagle, not to an earlier rover). It was considered a large risk, and although Beagle 2 did successfully survive its entry, descent, and landing, incomplete deployment of the solar panels hampered communication back to Earth. The team has proposed that a future launch might take multiple low-cost Beagle-type landers, with a realistic expectation that the vast majority would be successful, allowing exploration of several locations on Mars and possibly asteroids, all for considerably less cost than a single “normal” rover expedition. A NASA panel selected the name Curiosity following a nationwide student contest that attracted more than 9,000 proposals via the Internet and mail. A sixth-grade student from Kansas, twelve-year-old Clara Ma from Sunflower Elementary School in Lenexa, Kansas, submitted the winning entry. As her prize, Ma won a trip to NASA‘s Jet Propulsion Laboratory (JPL) in Pasadena, California, where she signed her name directly onto the rover as it was being assembled. Curiosity landed in Quad 51 (nicknamed Yellowknife) of Aeolis Palus in the crater Gale. The landing site coordinates are: 4.5895°S 137.4417°E. The location has been named Bradbury Landing in honor of science fiction author Ray Bradbury. Gale, an estimated 3.5 to 3.8 billion-year-old impact crater, is hypothesized to have first been gradually filled in by sediments; first water-deposited, and then wind-deposited, possibly until it was completely covered. Wind erosion then scoured out the sediments, leaving an isolated 5.5-kilometer-high (3.4 mi) mountain, Aeolis Mons (“Mount Sharp”), at the center of the 154 km (96 mi) wide crater. Thus, it is believed that the rover may have the opportunity to study two billion years of Martian history in the sediments exposed in the mountain. Additionally, its landing site is near an alluvial fan, which is hypothesized to be the result of a flow of ground water, either before the deposition of the eroded sediments or else in relatively recent geologic history. According to NASA, an estimated 20,000 to 40,000 heat-resistant bacterial spores were on Curiosity at launch, and as much as 1,000 times that number may not have been counted. NASA video describing the landing procedure. NASA dubbed the landing as “Seven Minutes of Terror”. Previous NASA Mars rovers became active only after the successful entry, descent and landing on the Martian surface. Curiosity, on the other hand, was active when it touched down on the surface of Mars, employing the rover suspension system for the final set-down. Curiosity transformed from its stowed flight configuration to a landing configuration while the MSL spacecraft simultaneously lowered it beneath the spacecraft descent stage with a 20 m (66 ft) tether from the “sky crane” system to a soft landing—wheels down—on the surface of Mars. After the rover touched down it waited 2 seconds to confirm that it was on solid ground then fired several pyrotechnic fasteners activating cable cutters on the bridle to free itself from the spacecraft descent stage. The descent stage then flew away to a crash landing, and the rover prepared itself to begin the science portion of the mission. Celebration erupts at NASA with the rover’s successful landing on Mars (August 6, 2012). President Barack Obamacongratulates NASA’s Curiosity team (August 13, 2012). Live video showing the first footage from the surface of Mars was available at NASA TV, during the late hours of August 6, 2012 PDT, including interviews with the mission team. The NASA website momentarily became unavailable from the overwhelming number of people visiting it, and a 13-minute NASA excerpt of the landings on its YouTube channel was halted an hour after the landing by an automated DMCA takedown notice from Scripps Local News, which prevented access for several hours. Around 1,000 people gathered in New York City’s Times Square, to watch NASA’s live broadcast of Curiosity‘s landing, as footage was being shown on the giant screen. Bobak Ferdowsi, Flight Director for the landing, became an Internet meme and attained Twitter celebrity status, with 45,000 new followers subscribing to his Twitter account, due to his Mohawk hairstyle with yellow stars that he wore during the televised broadcast. Scientists at the Getty Conservation Institute in Los Angeles, California, viewed the CheMin instrument aboard Curiosity as a potentially valuable means to examine ancient works of art without damaging them. 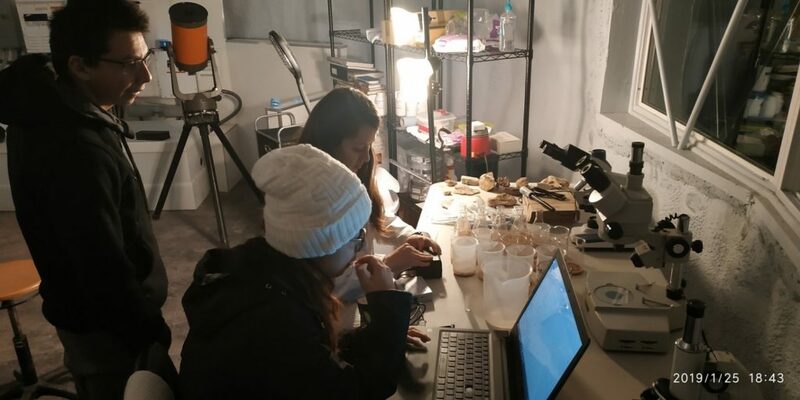 Until recently, only a few instruments were available to determine the composition without cutting out physical samples large enough to potentially damage the artifacts. CheMin directs a beam of X-rays at particles as small as 400 micrometers (0.016 in) and reads the radiation scattered back to determine the composition of the artifact in minutes. Engineers created a smaller, portable version named the X-Duetto. Fitting into a few briefcase-sized boxes, it can examine objects on site, while preserving their physical integrity. It is now being used by Getty scientists to analyze a large collection of museum antiques and the Roman ruins of Herculaneum, Italy. Prior to the landing, NASA and Microsoft released Mars Rover Landing, a free downloadable game on Xbox Live that uses Kinect to capture body motions, which allows users to simulate the landing sequence. On August 6, 2013, Curiosity audibly played “Happy Birthday to You” in honor of the one Earth year mark of its Martian landing, the first time for a song to be played on another planet. This was also the first time music was transmitted between two planets. On June 24, 2014, Curiosity completed a Martian year—687 Earth days—after finding that Mars once had environmental conditions favorable for microbial life. Curiosityserves as the basis for the design of the Mars 2020 rover mission that is planned to be launched to Mars in 2020. Some spare parts from the build and ground test of Curiosityare being used in the new vehicle, but it will carry a different instrument payload. As reported in 2018, drill samples taken in 2015 uncovered organic molecules of benzene and propane in 3 billion year old rock samples in Gale. Mast head with ChemCam, MastCam-34, MastCam-100, NavCam. Curiosity descending under its parachute (August 6, 2012; MRO/HiRISE). Curiosity‘s parachute flapping in Martian wind(August 12, 2012 to January 13, 2013; MRO). Gale crater – surface materials (false colors; THEMIS; 2001 Mars Odyssey). Curiosity‘s landing site is on Aeolis Palus near Mount Sharp (north is down). Mount Sharp rises from the middle of Gale; the green dot marks Curiosity‘s landing site (north is down). Green dot is Curiosity‘slanding site; upper blue is Glenelg; lower blue is base of Mount Sharp. Curiosity‘s landing ellipse. Quad 51, called Yellowknife, marks the area where Curiosityactually landed. Quad 51, a 1-mile-by-1-mile section of the crater Gale – Curiosity landing site is noted. MSL debris field – parachute landed 615 m from Curiosity (3-D: rover & parachute) (August 17, 2012; MRO). First-year and first-mile map of Curiosity‘straverse on Mars (August 1, 2013) (3-D). Ejected heat shield as viewed by Curiositydescending to Martian surface (August 6, 2012). Curiosity‘s first image after landing (August 6, 2012). The rover’s wheel can be seen. Curiosity‘s self-portrait – with closed dust cover (September 7, 2012). Curiosity‘s self-portrait (September 7, 2012; color-corrected). Wheels on Curiosity. Mount Sharp is visible in the background (MAHLI, September 9, 2012). Layers at the base of Aeolis Mons.  The dark rock in inset is the same size as Curiosity. Curiosity‘s view of the Rocknest area. South is at center, north is at both ends. Mount Sharp dominates the horizon, while Glenelg is left-of-center and rover tracks are right-of-center (November 16, 2012; white balanced; raw color version; high-res panoramic). ^ Wall, Mike (August 6, 2012). “Touchdown! Huge NASA Rover Lands on Mars”. Space.com. Retrieved December 14, 2012. ^ “Rover Fast Facts”. NASA. ^ Jump up to: a b Nelson, Jon. “Mars Science Laboratory Curiosity Rover”. NASA. Retrieved February 2, 2014. ^ “Curiosity: NASA’s Next Mars Rover”. NASA. August 6, 2012. Retrieved August 6,2012. ^ Beutel, Allard (November 19, 2011). “NASA’s Mars Science Laboratory Launch Rescheduled for Nov. 26”. NASA. Retrieved November 21, 2011. ^ Martin, Paul K. (June 8, 2011). “NASA’S MANAGEMENT OF THE MARS SCIENCE LABORATORY PROJECT (IG-11-019)” (PDF). NASA Office of Inspector General. Retrieved August 6, 2012. ^ Jump up to: a b Abilleira, Fernando (2013). 2011 Mars Science Laboratory Trajectory Reconstruction and Performance from Launch Through Landing. 23rd AAS/AIAA Spaceflight Mechanics Meeting. February 10–14, 2013. Kauai, Hawaii. ^ Jump up to: a b Amos, Jonathan (August 8, 2012). “Nasa’s Curiosity rover lifts its navigation cameras”. BBC News. Retrieved June 23, 2014. ^ Jump up to: a b c d Brown, Dwayne; Cole, Steve; Webster, Guy; Agle, D.C. (August 22, 2012). “NASA Mars Rover Begins Driving at Bradbury Landing”. NASA. Retrieved August 22, 2012. ^ Jump up to: a b “Video from rover looks down on Mars during landing”. MSNBC. August 6, 2012. Retrieved October 7, 2012. ^ Jump up to: a b Young, Monica (August 7, 2012). “Watch Curiosity Descend onto Mars”. SkyandTelescope.com. Retrieved October 7, 2012. ^ Mahaffy, Paul R.; Webster, Christopher R.; Cabane, Michel; Conrad, Pamela G.; Coll, Patrice; Atreya, Sushil K.; Arvey, Robert; Barciniak, Michael; Benna, Mehdi; Bleacher, Lora; Brinckerhoff, William B.; Eigenbrode, Jennifer L.; Carignan, Daniel; Cascia, Mark; Chalmers, Robert A.; Dworkin, Jason P.; Errigo, Therese; Everson, Paula; Franz, Heather; Farley, Rodger; Feng, Steven; Frazier, Gregory; Freissinet, Caroline; Glavin, Daniel P.; Harpold, Daniel N.; Hawk, Douglas; Holmes, Vincent; Johnson, Christopher S.; Jones, Andrea; et al. (2012). “Where is Curiosity?”. Space Science Reviews. 170(1–4): 401. Retrieved October 4, 2018. ^ “MSL Sol 3 Update”. NASA Television. August 8, 2012. Retrieved August 9, 2012. ^ Jump up to: a b “Impressive’ Curiosity landing only 1.5 miles off, NASA says”. CNN. Retrieved August 10, 2012. ^ Jump up to: a b “Overview”. JPL, NASA. Retrieved August 16, 2012. ^ Jump up to: a b c “Mars Science Laboratory: Mission Science Goals”. NASA.gov. August 2012. Retrieved August 21, 2012. ^ “Curiosity’s mission extended indefinitely”. 3 News NZ. December 6, 2012. Archived from the original on April 6, 2013. Retrieved December 5, 2012. ^ Jump up to: a b Webster, Guy; Cantillo, Laurie; Brown, Dwayne (August 2, 2017). “Five Years Ago and 154 Million Miles Away: Touchdown!”. NASA. Retrieved August 8, 2017. ^ Jump up to: a b Wall, Mike (August 5, 2017). “After 5 Years on Mars, NASA’s Curiosity Rover Is Still Making Big Discoveries”. Space.com. Retrieved August 8, 2017. ^ Phillips, Tony (February 24, 2012). “Curiosity, The Stunt Double”. NASA.gov. Retrieved January 26, 2014. ^ Grotzinger, John P. (January 24, 2014). “Habitability, Taphonomy, and the Search for Organic Carbon on Mars”. Science. 343 (6169): 386–387. Bibcode:2014Sci…343..386G. doi:10.1126/science.1249944. PMID 24458635. ^ Jump up to: a b Watson, Traci (April 14, 2008). “Troubles parallel ambitions in NASA Mars project”. USA Today. Retrieved May 27, 2009. ^ Jump up to: a b “MSL at a glance – CNES”. Cnes.fr. Retrieved August 7, 2012. ^ Jump up to: a b c “Multi-Mission Radioisotope Thermoelectric Generator (MMRTG)” (PDF). NASA/JPL. October 2013. Archived from the original (PDF) on February 26, 2015. Retrieved December 26, 2017. ^ Jump up to: a b c “Mars Exploration: Radioisotope Power and Heating for Mars Surface Exploration” (PDF). NASA/JPL. April 18, 2006. Retrieved September 7, 2009. ^ Clark, Stephen (November 17, 2011). “Nuclear power generator hooked up to Mars rover”. Spaceflight Now. Retrieved November 11, 2013. ^ Ritz, Fred; Peterson, Craig E. (2004). Multi-Mission Radioisotope Thermoelectric Generator (MMRTG) Program Overview (PDF). 2004 IEEE Aerospace Conference. March 6–13, 2004. Big Sky, Montana. doi:10.1109/AERO.2004.1368101. Archived from the original (PDF) on December 16, 2011. ^ Cataldo, Robert L.; Bennett, Gary L. (October 21, 2011). “U.S. Space Radioisotope Power Systems and Applications: Past, Present and Future” (PDF). In Singh, Nirmal. Radioisotopes: Applications in Physical Sciences. InTech. doi:10.5772/23914. ISBN 978-953-307-510-5. ^ Campbell, Joseph (2011). “Fueling the Mars Science Laboratory” (PDF). Idaho National Laboratory. Archived from the original (PDF) on March 4, 2016. Retrieved February 28, 2016. ^ “Technologies of Broad Benefit: Power”. Archived from the original on June 14, 2008. Retrieved September 20, 2008. ^ “Mars Science Laboratory – Technologies of Broad Benefit: Power”. NASA/JPL. Retrieved April 23, 2011. ^ Misra, Ajay K. (June 26, 2006). “Overview of NASA Program on Development of Radioisotope Power Systems with High Specific Power” (PDF). NASA/JPL. Retrieved May 12, 2009. ^ Jump up to: a b c d e f g Makovsky, Andre; Ilott, Peter; Taylor, Jim (November 2009). Mars Science Laboratory Telecommunications System Design (PDF). DESCANSO Design and Performance Summary Series. 14. NASA/Jet Propulsion Laboratory. ^ Jump up to: a b Watanabe, Susan (August 9, 2009). “Keeping it Cool (…or Warm!)”. NASA/JPL. Archived from the original on December 24, 2010. Retrieved January 19, 2011. ^ Jump up to: a b c d e “Mars Science Laboratory: Mission: Rover: Brains”. NASA/JPL. Retrieved March 27, 2009. ^ Bajracharya, Max; Maimone, Mark W.; Helmick, Daniel (December 2008). “Autonomy for Mars rovers: past, present, and future”. Computer. 41 (12): 45. doi:10.1109/MC.2008.515. ISSN 0018-9162. ^ “BAE Systems Computers to Manage Data Processing and Command For Upcoming Satellite Missions” (Press release). BAE Systems. June 17, 2008. Archived from the original on June 17, 2008. Retrieved November 17, 2008. ^ “E&ISNow — Media gets closer look at Manassas” (PDF). BAE Systems. August 1, 2008. Archived from the original (PDF) on December 17, 2008. Retrieved November 17, 2008. ^ “RAD750 radiation-hardened PowerPC microprocessor” (PDF). BAE Systems. July 1, 2008. Retrieved September 7, 2009. ^ “RAD6000 Space Computers” (PDF). BAE Systems. June 23, 2008. Archived from the original (PDF) on October 4, 2009. Retrieved September 7, 2009. ^ Webster, Guy (March 4, 2013). “Curiosity Rover’s Recovery on Track”. NASA. Retrieved March 5, 2013. ^ Webster, Guy (March 25, 2013). “Curiosity Resumes Science Investigations”. NASA. Retrieved March 27, 2013. ^ Gaudin, Sharon (August 8, 2012). “NASA: Your smartphone is as smart as the Curiosity rover”. Computerworld. Retrieved June 17, 2018. ^ “Mars-Earth distance in light minutes”. WolframAlpha. Retrieved August 6, 2012. ^ “Curiosity’s data communication with Earth”. NASA. Retrieved August 7, 2012. ^ “NASA’s Curiosity Rover Maximizes Data Sent to Earth by Using International Space Data Communication Standards”. ^ “ESA spacecraft records crucial NASA signals from Mars”. Mars Daily. August 7, 2012. Retrieved August 8, 2012. ^ NASA Mars exploration efforts turn to operating existing missions and planning sample return. Jeff Foust, Space News. 23 February 2018. ^ “Next Mars Rover Sports a Set of New Wheels”. NASA/JPL. ^ “Watch NASA’s Next Mars Rover Being Built Via Live ‘Curiosity Cam‘“. NASA. September 13, 2011. Retrieved August 16, 2012. ^ “New Mars Rover to Feature Morse Code”. National Association for Amateur Radio. ^ Marlow, Jeffrey (August 29, 2012). “Looking Toward the Open Road”. JPL – Martian Diaries. NASA. Retrieved August 30, 2012. ^ Lakdawalla, Emily (August 19, 2014). “Curiosity wheel damage: The problem and solutions”. The Planetary Society Blogs. The Planetary Society. Retrieved August 22,2014. ^ Jump up to: a b c “Mars Science Laboratory – Facts” (PDF). Jet Propulsion Laboratory, NASA. March 2012. Retrieved July 31, 2012. ^ Gorman, Steve (August 8, 2011). “Curiosity beams Mars images back”. Stuff – Science. Retrieved August 8, 2012. ^ Jump up to: a b “Mars Science Laboratory”. NASA. Archived from the original on July 30, 2009. Retrieved August 6, 2012. ^ “Vandi Verma”. ResearchGate. Retrieved 7 February 2019. ^ “Dr. Vandi Verma Group Supervisor”. Jet Propulsion Laboratory. CIT. Retrieved 8 February 2019. ^ Estlin, Tara; Jonsson, Ari; Pasareanu, Carina; Simmons, Reid; Tso, Kam; Verma, Vandi. “Plan Execution Interchange Language (PLEXIL)” (PDF). NASA Technical Reports Server. Retrieved 8 February 2019. ^ “Bibliography of PLEXIL-related publications, organized by category”. Plexil souceforge. Retrieved 8 February 2019. ^ “Main page: NASA applications”. PLEXIL sourceforge. Retrieved 8 February 2019. ^ Amos, Jonathan (August 3, 2012). “Gale Crater: Geological ‘sweet shop’ awaits Mars rover”. BBC News. Retrieved August 6, 2012. ^ Jump up to: a b c “MSL Science Corner: Sample Analysis at Mars (SAM)”. NASA/JPL. Retrieved September 9, 2009. ^ “Overview of the SAM instrument suite”. NASA. Archived from the original on February 22, 2007. ^ Malin, M. C.; Bell, J. F.; Cameron, J.; Dietrich, W. E.; Edgett, K. S.; et al. (2005). The Mast Cameras and Mars Descent Imager (MARDI) for the 2009 Mars Science Laboratory (PDF). Lunar and Planetary Science XXXVI. p. 1214. Bibcode:2005LPI….36.1214M. ^ Jump up to: a b c d e “Mast Camera (MastCam)”. NASA/JPL. Retrieved March 18, 2009. ^ Jump up to: a b c “Mars Hand Lens Imager (MAHLI)”. NASA/JPL. Retrieved March 23, 2009. ^ Jump up to: a b c “Mars Descent Imager (MARDI)”. NASA/JPL. Retrieved April 3, 2009. ^ Jump up to: a b c “Mars Science Laboratory (MSL): Mast Camera (MastCam): Instrument Description”. Malin Space Science Systems. Retrieved April 19, 2009. ^ Stern, Alan; Green, Jim (November 8, 2007). “Mars Science Laboratory Instrumentation Announcement from Alan Stern and Jim Green, NASA Headquarters”. SpaceRef.com. Retrieved August 6, 2012. ^ Mann, Adam (August 7, 2012). “The Photo-Geek’s Guide to Curiosity Rover’s 17 Cameras”. Wired. Retrieved January 16, 2015. ^ Klinger, Dave (August 7, 2012). “Curiosity says good morning from Mars (and has busy days ahead)”. Ars Technica. Retrieved January 16, 2015. ^ “Mars Science Laboratory (MSL) Mast Camera (MastCam)”. Malin Space Science Systems. Retrieved August 6, 2012. ^ David, Leonard (March 28, 2011). “NASA Nixes 3-D Camera for Next Mars Rover”. 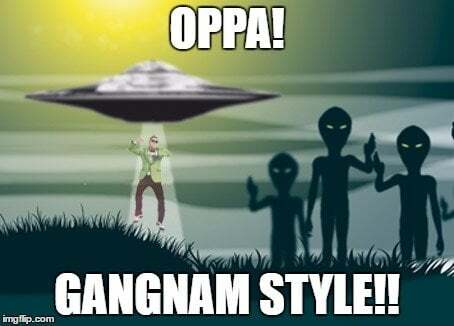 Space.com. Retrieved August 6, 2012. ^ Bell III, J. F.; Maki, J. N.; Mehall, G. L.; Ravine, M. A.; Caplinger, M. A. (2014). Mastcam-Z: A Geologic, Stereoscopic, and Multispectral Investigation on the NASA Mars-2020 Rover (PDF). International Workshop on Instrumentation for Planetary Missions. November 4–7, 2014. Greenbelt, Maryland. ^ Jump up to: a b c d “MSL Science Corner: Chemistry & Camera (ChemCam)”. NASA/JPL. Retrieved September 9, 2009. ^ Salle, B.; Lacour, J. L.; Mauchien, P.; Fichet, P.; Maurice, S.; et al. (2006). “Comparative study of different methodologies for quantitative rock analysis by Laser-Induced Breakdown Spectroscopy in a simulated Martian atmosphere” (PDF). Spectrochimica Acta Part B-Atomic Spectroscopy. 61 (3): 301–313. Bibcode:2006AcSpe..61..301S. doi:10.1016/j.sab.2006.02.003. ^ Wiens, R.C. ; Maurice, S.; Engel, A; Fabry, V. J.; Hutchins, D. A.; et al. (2008). “Corrections and Clarifications, News of the Week”. Science. 322 (5907): 1466. doi:10.1126/science.322.5907.1466a. PMC 1240923. ^ “ChemCam Status”. Los Alamos National Laboratory. April 2008. ^ “Spacecraft: Surface Operations Configuration: Science Instruments: ChemCam”. Archived from the original on October 2, 2006. ^ Vieru, Tudor (December 6, 2013). “Curiosity’s Laser Reaches 100,000 Firings on Mars”. Softpedia. Retrieved January 16, 2015. ^ “Rover’s Laser Instrument Zaps First Martian Rock”. 2012. Retrieved August 20,2012. ^ Webster, Guy; Agle, D.C. (August 19, 2012). “Mars Science Laboratory/Curiosity Mission Status Report”. NASA. Retrieved September 3, 2012. ^ “‘Coronation’ Rock on Mars”. NASA. Retrieved September 3, 2012. ^ Amos, Jonathan (August 17, 2012). “Nasa’s Curiosity rover prepares to zap Martian rocks”. BBC News. Retrieved September 3, 2012. ^ “How Does ChemCam Work?”. ChemCam Team. 2011. Retrieved August 20,2012. ^ Jump up to: a b “Mars Science Laboratory Rover in the JPL Mars Yard”. NASA/JPL. Retrieved May 10, 2009. ^ Jump up to: a b “Mars Science Laboratory: Mission: Rover: Eyes and Other Senses: Two Engineering NavCams (Navigation Cameras)”. NASA/JPL. Retrieved April 4, 2009. ^ Gómez-Elvira, J.; Haberle, B.; Harri, A.; Martinez-Frias, J.; Renno, N.; Ramos, M.; Richardson, M.; de la Torre, M.; Alves, J.; Armiens, C.; Gómez, F.; Lepinette, A.; Mora, L.; Martín, J.; Martín-Torres, J.; Navarro, S.; Peinado, V.; Rodríguez-Manfredi, J. A.; Romeral, J.; Sebastián, E.; Torres, J.; Zorzano, M. P.; Urquí, R.; Moreno, J.; Serrano, J.; Castañer, L.; Jiménez, V.; Genzer, M.; Polko, J. (February 2011). “Rover Environmental Monitoring Station for MSL mission” (PDF). 4th International Workshop on the Mars Atmosphere: Modelling and Observations: 473. Bibcode:2011mamo.conf..473G. Retrieved August 6, 2012. ^ Jump up to: a b “MSL Science Corner: Rover Environmental Monitoring Station (REMS)”. NASA/JPL. Retrieved September 9, 2009. ^ “Mars Science Laboratory Fact Sheet” (PDF). NASA/JPL. Retrieved June 20,2011. ^ Jump up to: a b c d e “Mars Science Laboratory: Mission: Rover: Eyes and Other Senses: Four Engineering Hazcams (Hazard Avoidance Cameras)”. NASA/JPL. Retrieved April 4,2009. ^ Edgett, Kenneth S. “Mars Hand Lens Imager (MAHLI)”. NASA. Retrieved January 11, 2012. 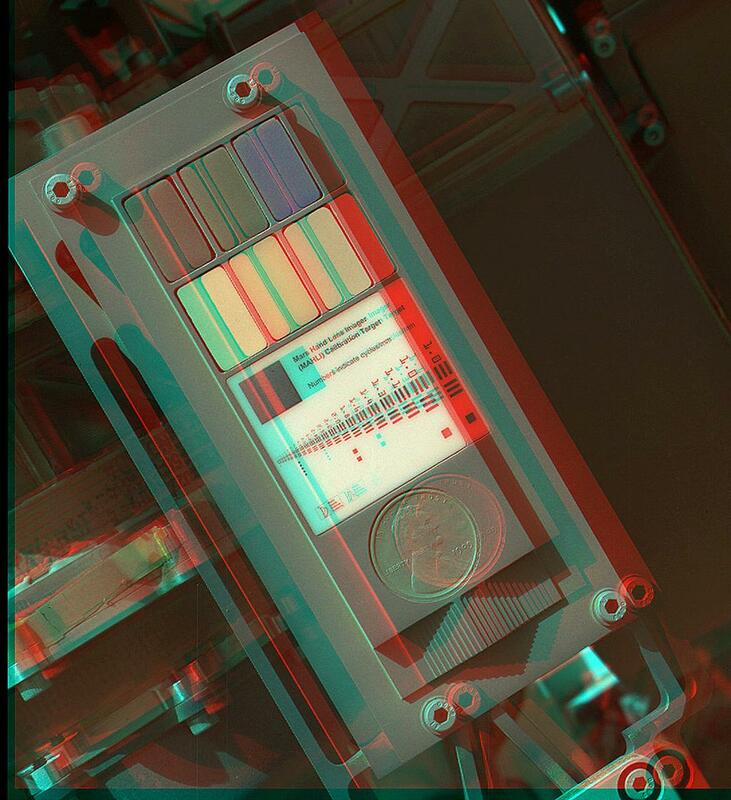 ^ “3D View of MAHLI Calibration Target”. NASA. September 13, 2012. Retrieved October 11, 2012. ^ Jump up to: a b c “MSL Science Corner: Alpha Particle X-ray Spectrometer (APXS)”. NASA/JPL. Retrieved September 9, 2009. ^ “40th Lunar and Planetary Science Conference” (PDF). 2009. “41st Lunar and Planetary Science Conference” (PDF). 2010. ^ Rieder, R.; Gellert, R.; Brückner, J.; Klingelhöfer, G.; Dreibus, G.; et al. (2003). “The new Athena alpha particle X-ray spectrometer for the Mars Exploration Rovers”. Journal of Geophysical Research. 108 (E12): 8066. Bibcode:2003JGRE..108.8066R. doi:10.1029/2003JE002150. ^ Jump up to: a b Brown, Dwayne (October 30, 2012). “NASA Rover’s First Soil Studies Help Fingerprint Martian Minerals”. NASA. Retrieved October 31, 2012. ^ “MSL Chemistry & Mineralogy X-ray diffraction(CheMin)”. NASA/JPL. Retrieved November 25, 2011. ^ Sarrazin, P.; Blake, D.; Feldman, S.; Chipera, S.; Vaniman, D.; et al. (2005). “Field deployment of a portable X-ray diffraction/X-ray fluorescence instrument on Mars analog terrain”. Powder Diffraction. 20 (2): 128–133. Bibcode:2005PDiff..20..128S. doi:10.1154/1.1913719. ^ Hoover, Rachel (June 24, 2014). 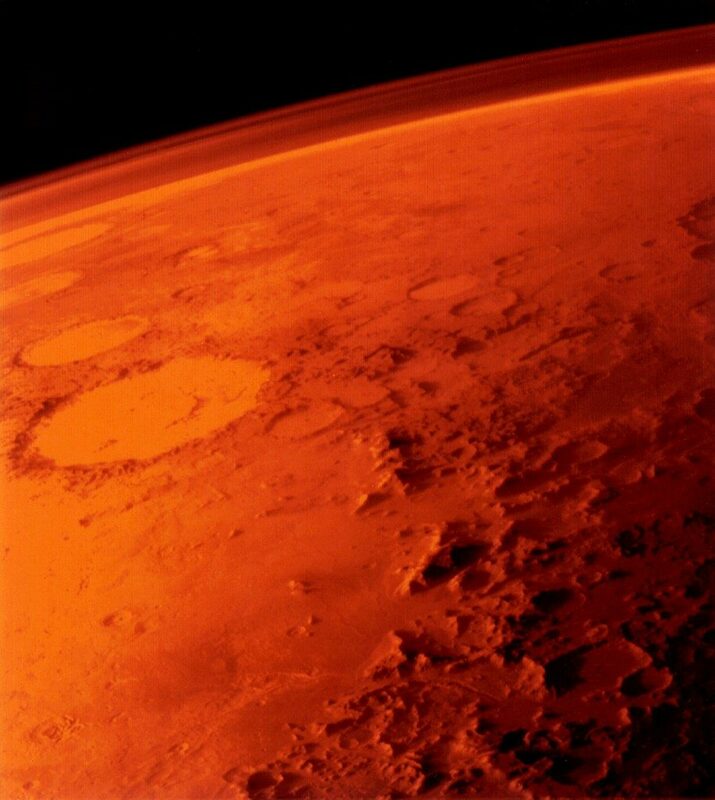 “Ames Instrument Helps Identify the First Habitable Environment on Mars, Wins Invention Award”. NASA. Retrieved June 25, 2014. ^ Anderson, Robert C.; Baker, Charles J.; Barry, Robert; Blake, David F.; Conrad, Pamela; et al. (December 14, 2010). “Mars Science Laboratory Participating Scientists Program Proposal Information Package” (PDF). NASA/Jet Propulsion Laboratory. Retrieved January 16, 2015. ^ Beegle, L. W.; Peters, G. H.; Mungas, G. S.; Bearman, G. H.; Smith, J. A.; et al. (2007). “Mojave Martian Simulant: A New Martian Soil Simulant” (PDF). Lunar and Planetary Science Conference (1338): 2005. Bibcode:2007LPI….38.2005B. Retrieved April 28, 2014. ^ Allen, C. C.; Morris, R. V.; Lindstrom, D. J.; Lindstrom, M. M.; Lockwood, J. P. (March 1997). JSC Mars-1: Martian regolith simulant (PDF). Lunar and Planetary Exploration XXVIII. Archived from the original (PDF) on September 10, 2014. Retrieved April 28, 2014. ^ Cabane, M.; Coll, P.; Szopa, C.; Israël, G.; Raulin, F.; et al. (2004). “Did life exist on Mars? Search for organic and inorganic signatures, one of the goals for “SAM” (sample analysis at Mars)” (PDF). Advances in Space Research. 33 (12): 2240–2245. Bibcode:2004AdSpR..33.2240C. doi:10.1016/S0273-1177(03)00523-4. ^ Jump up to: a b “Sample Analysis at Mars (SAM) Instrument Suite”. NASA. October 2008. Archived from the original on October 7, 2008. Retrieved October 9, 2009. ^ Tenenbaum, D. (June 9, 2008). “Making Sense of Mars Methane”. Astrobiology Magazine. Retrieved October 8, 2008. ^ Tarsitano, C. G.; Webster, C. R. (2007). “Multilaser Herriott cell for planetary tunable laser spectrometers”. Applied Optics. 46 (28): 6923–6935. Bibcode:2007ApOpt..46.6923T. doi:10.1364/AO.46.006923. PMID 17906720. ^ Mahaffy, Paul R.; Webster, Christopher R.; Cabane, Michel; Conrad, Pamela G.; Coll, Patrice; et al. (2012). “The Sample Analysis at Mars Investigation and Instrument Suite”. Space Science Reviews. 170 (1–4): 401–478. Bibcode:2012SSRv..tmp…23M. doi:10.1007/s11214-012-9879-z. ^ Moskowitz, Clara (January 7, 2013). “NASA’s Curiosity Rover Brushes Mars Rock Clean, a First”. Space.com. Retrieved January 16, 2015. ^ Jump up to: a b “SwRI Radiation Assessment Detector (RAD) Homepage”. Southwest Research Institute. Retrieved January 19, 2011. ^ “Laboratory for Space Gamma Spectroscopy – DAN”. Laboratory for Space Gamma Spectroscopy. Archived from the original on May 21, 2013. Retrieved September 20, 2012. ^ “MSL Science Corner: Dynamic Albedo of Neutrons (DAN)”. NASA/JPL. Retrieved September 9, 2009. ^ Litvak, M. L.; Mitrofanov, I. G.; Barmakov, Yu. N.; Behar, A.; Bitulev, A.; et al. (2008). “The Dynamic Albedo of Neutrons (DAN) Experiment for NASA’s 2009 Mars Science Laboratory”. Astrobiology. 8 (3): 605–12. Bibcode:2008AsBio…8..605L. doi:10.1089/ast.2007.0157. PMID 18598140. ^ “Mars Science Laboratory: Mission”. NASA JPL. Retrieved August 6, 2012. ^ “Mars Descent Imager (MARDI) Update”. Malin Space Science Systems. November 12, 2007. Retrieved August 6, 2012. ^ “Junocam, Juno Jupiter Orbiter”. Malin Space Science Systems. Retrieved August 6, 2012. ^ Anderson, Paul Scott (February 3, 2013). “Curiosity ‘hammers’ a rock and completes first drilling tests”. themeridianijournal.com. Archived from the original on February 6, 2013. Retrieved February 3, 2013. ^ Jump up to: a b “Curiosity Rover – Arm and Hand”. JPL. NASA. Retrieved August 21, 2012. ^ Jump up to: a b c Jandura, Louise. “Mars Science Laboratory Sample Acquisition, Sample Processing and Handling: Subsystem Design and Test Challenges” (PDF). JPL. NASA. Retrieved August 21, 2012. ^ Jump up to: a b “Curiosity Stretches its Arm”. JPL. NASA. August 21, 2012. Retrieved August 21, 2012. ^ Billing, Rius; Fleischner, Richard. “Mars Science Laboratory Robotic Arm” (PDF). MDA US Systems. Archived from the original (PDF) on October 6, 2016. Retrieved January 22, 2017. ^ Jump up to: a b “MSL Participating Scientists Program – Proposal Information Package” (PDF). Washington University. December 14, 2010. Retrieved August 21, 2012. ^ Billing, Rius; Fleischner, Richard (2011). “Mars Science Laboratory Robotic Arm”(PDF). 15th European Space Mechanisms and Tribology Symposium 2011. Retrieved August 21, 2012. ^ Jump up to: a b Clark, Stephen (December 29, 2016). “Internal debris may be causing problem with Mars rover’s drill”. Spaceflight Now. Retrieved January 22, 2017. ^ “NASA Is Trying to Get Mars Rover Curiosity’s Arm Unstuck”. Popular Mechanics. Associated Press. December 13, 2016. Retrieved January 18, 2017. ^ Wall, Mike (December 15, 2016). “Drill Issue Continues to Afflict Mars Rover Curiosity”. Space.com. Retrieved February 10, 2018. ^ “Sols 1545-1547: Moving again!”. NASA Mars Rover Curiosity: Mission Updates. NASA. December 9, 2016. ^ Lakdawalla, Emily (September 6, 2017). “Curiosity’s balky drill: The problem and solutions”. The Planetary Society. Retrieved February 10, 2018. ^ Curiosity Rover is Drilling Again. David Dickinon, Sky and Telescope. 4 June 2018. ^ Mars Rovers: Pathfinder, MER (Spirit and Opportunity), and MSL (video). Pasadena, California. April 12, 2008. Retrieved September 22, 2011. ^ “Mars Exploration Rover Launches” (PDF). NASA. June 2003. Archived (PDF)from the original on July 26, 2004. ^ Jump up to: a b “Watching Curiosity on Mars makes me feel like athlete who didn’t win a medal”. The Sun. August 8, 2012. ^ Clark, Stuart (January 17, 2015). “Beagle 2 spacecraft found intact on surface of Mars after 11 years”. The Guardian. Retrieved January 18, 2015. ^ Gibson, E. K.; Pillinger, C. T.; Wright, I. P.; Hurst, S. J.; Richter, L.; et al. (2012). “How do you answer the life on Mars question? Use multiple small landers like Beagle 2”(PDF). Concepts and Approaches for Mars Exploration. ^ Jump up to: a b Brown, Dwayne C.; Buis, Alan; Martinez, Carolina (May 27, 2009). “NASA Selects Student’s Entry as New Mars Rover Name”. NASA / Jet Propulsion Laboratory. Retrieved January 2, 2017. This article incorporates text from this source, which is in the public domain. ^ “Curiosity’s Quad – IMAGE”. NASA. August 10, 2012. Retrieved August 11, 2012. ^ Agle, DC; Webster, Guy; Brown, Dwayne (August 9, 2012). 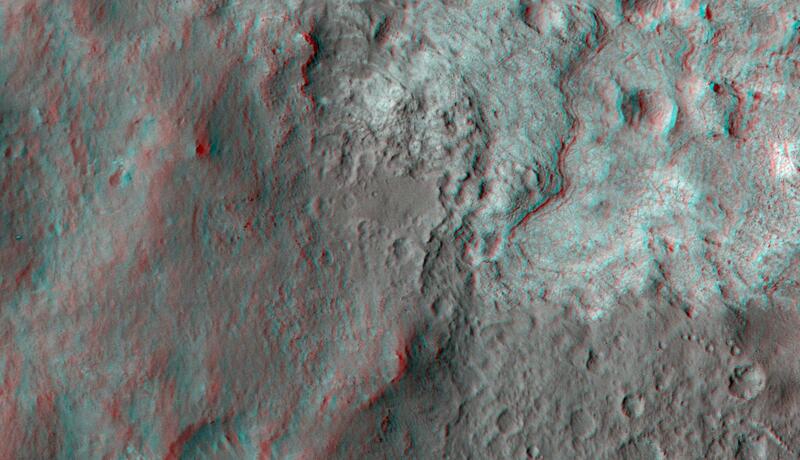 “NASA’s Curiosity Beams Back a Color 360 of Gale Crate”. NASA. Retrieved August 11, 2012. ^ Amos, Jonathan (August 9, 2012). “Mars rover makes first colour panorama”. BBC News. Retrieved August 9, 2012. ^ Halvorson, Todd (August 9, 2012). “Quad 51: Name of Mars base evokes rich parallels on Earth”. USA Today. Retrieved August 12, 2012. ^ Hand, Eric (August 3, 2012). “Crater mound a prize and puzzle for Mars rover”. Nature. doi:10.1038/nature.2012.11122. Retrieved August 6, 2012. ^ “Gale Crater’s History Book”. Mars Odyssey THEMIS. Retrieved August 6, 2012. ^ Chang, Kenneth (October 5, 2015). “Mars Is Pretty Clean. Her Job at NASA Is to Keep It That Way”. The New York Times. Retrieved October 6, 2015. ^ “Why NASA’s Mars Curiosity Rover landing will be “Seven Minutes of Absolute Terror““. NASA. Centre National d’Etudes Spatiales (CNES). June 28, 2012. Retrieved July 13, 2012. ^ “Final Minutes of Curiosity’s Arrival at Mars”. NASA/JPL. Retrieved April 8, 2011. ^ Teitel, Amy Shira (November 28, 2011). “Sky Crane – how to land Curiosity on the surface of Mars”. Scientific American. Retrieved August 6, 2012. ^ Snider, Mike (July 17, 2012). “Mars rover lands on Xbox Live”. USA Today. Retrieved July 27, 2012. ^ “Mars Science Laboratory: Entry, Descent, and Landing System Performance”(PDF). NASA. March 2006. p. 7. ^ Amos, Jonathan (June 12, 2012). “NASA’s Curiosity rover targets smaller landing zone”. BBC News. Retrieved June 12, 2012. ^ Jump up to: a b Chang, Kenneth (August 13, 2012). “Mars Looks Quite Familiar, if Only on the Surface”. New York Times. Retrieved August 14, 2012. ^ “Curiosity Lands on Mars”. NASA TV. Archived from the original on August 6, 2012. Retrieved August 6, 2012. ^ “NASA’s Mars Rover Crashed Into a DMCA Takedown”. Motherboard. Motherboard.vice.com. August 6, 2012. Archived from the original on August 8, 2012. Retrieved August 8, 2012. ^ “Huge Crowds Watched NASA Rover Land on Mars from NYC’s Times Square”. Space.com. Retrieved August 8, 2012. ^ “Mars Rover ‘Mohawk Guy’ a Space Age Internet Sensation | Curiosity Rover”. Space.com. August 7, 2012. Retrieved August 8, 2012. ^ “Mars landing proves memes now travel faster than the speed of light (gallery)”. VentureBeat. June 18, 2012. Retrieved August 8, 2012. ^ Boyer, Brad (March 10, 2011). “inXitu co-founder wins NASA Invention of the Year Award for 2010” (PDF) (Press release). InXitu. Archived from the original (PDF)on August 3, 2012. Retrieved August 13, 2012. ^ “Martian rover tech has an eye for priceless works of art”. August 10, 2012. Retrieved August 13, 2012. ^ Thomen, Daryl (August 6, 2012). “‘Mars Rover Landing’ with Kinect for the Xbox 360″. Newsday. Retrieved August 8, 2012. ^ “Send Your Name to Mars”. NASA. 2010. Retrieved August 7, 2012. ^ “NASA’s Curiosity rover flying to Mars with Obama’s, others’ autographs on board”. Retrieved August 11, 2012. ^ Dewey, Caitlin (August 6, 2013). “Lonely Curiosity rover sings ‘Happy Birthday’ to itself on Mars”. Washington Post. Retrieved August 7, 2013. ^ Webster, Guy; Brown, Dwayne (June 23, 2014). “NASA’s Mars Curiosity Rover Marks First Martian Year”. NASA. Retrieved June 23, 2014. ^ Harwood, William (December 4, 2012). “NASA announces plans for new $1.5 billion Mars rover”. CNET. Retrieved December 5, 2012. Using spare parts and mission plans developed for NASA’s Curiosity Mars rover, the space agency says it can build and launch a new rover in 2020 and stay within current budget guidelines. ^ Chang, Kenneth (June 7, 2018). “Life on Mars? Rover’s Latest Discovery Puts It ‘On the Table‘“. The New York Times. Retrieved June 8, 2018. The identification of organic molecules in rocks on the red planet does not necessarily point to life there, past or present, but does indicate that some of the building blocks were present. ^ ten Kate, Inge Loes (June 8, 2018). “Organic molecules on Mars”. Science. 360(6393): 1068–1069. Bibcode:2018Sci…360.1068T. doi:10.1126/science.aat2662. PMID 29880670. ^ Eigenbrode, Jennifer L.; et al. (June 8, 2018). “Organic matter preserved in 3-billion-year-old mudstones at Gale crater, Mars”. Science. 360 (6393): 1096–1101. Bibcode:2018Sci…360.1096E. doi:10.1126/science.aas9185. PMID 29880683. ^ Bosco, Cassandro (March 12, 2013). “NASA/JPL Mars Curiosity Project Team Receive 2012 Robert J. Collier Trophy” (PDF). National Aeronautic Association. Archived from the original (PDF) on February 23, 2014. Retrieved February 9, 2014. ^ Jump up to: a b Williams, John (August 15, 2012). “A 360-degree ‘street view’ from Mars”. PhysOrg. Retrieved August 16, 2012. ^ Bodrov, Andrew (September 14, 2012). “Mars Panorama – Curiosity rover: Martian solar day 2”. 360Cities. Retrieved September 14, 2012. Cite error: A list-defined reference named “nasa.pia15987” is not used in the content (see the help page). Look up Curiosity in Wiktionary, the free dictionary. Wikimedia Commons has media related to Curiosity rover and Photos by the Curiosity rover. Interactive imagemap of the global topography of Mars, overlain with locations of Mars landers and rovers. Hover your mouse to see the names of over 25 prominent geographic features, and click to link to them. Coloring of the base map indicates relative elevations, based on data from the Mars Orbiter Laser Altimeter on NASA’s Mars Global Surveyor. Whites and browns indicate the highest elevations (+12 to +8 km); followed by reds and pinks (+3 to +8 km); yellow is 0 km; greens and blues are lower elevation (down to −8 km). Axes are latitude and longitude; Poles are not shown. An artist’s concept illustrates what the Mars rover Curiosity will look like on the Red Planet. The Mars Science Laboratory and its rover centerpiece, Curiosity, is the most ambitious Mars mission yet flown by NASA. The rover landed on Mars in 2012 with a primary mission to find out if Mars is, or was, suitable for life. Another objective is to learn more about the Red Planet’s environment. In March 2018, it celebrated 2,000 sols (Mars days) on the planet, making its way from Gale Crater to Aeolis Mons (colloquially called Mount Sharp), where it has looked at geological information embedded in the mountain’s layers. Along the way, it also has found extensive evidence of past water and geological change. One thing that makes Curiosity stand out is its sheer size: Curiosity is about the size of a small SUV. It is 9 feet 10 inches long by 9 feet 1 inch wide (3 m by 2.8 m) and about 7 feet high (2.1 m). It weighs 2,000 lbs. (900 kilograms). Curiosity’s wheels have a 20-inch (50.8 cm) diameter. Engineers at NASA’s Jet Propulsion Laboratory designed the rover to roll over obstacles up to 25 inches (65 centimeters) high and to travel about 660 feet (200 m) per day. The rover’s power comes from a multi-mission radioisotope thermoelectric generator, which produces electricity from the heat of plutonium-238’s radioactive decay. Determine whether life ever arose on Mars. Characterize the climate of Mars. Characterize the geology of Mars. The goals are closely interlinked. For example, understanding the current climate of Mars will also help determine whether humans can safely explore its surface. Studying the geology of Mars will help scientists better understand if the region near Curiosity’s landing site was habitable. To assist with better meeting these large goals, NASA broke down the science goals into eight smaller objectives, ranging from biology to geology to planetary processes. Cameras that can take pictures of the landscape or of minerals close-up: Mast Camera (Mastcam), Mars Hand Lens Imager (MAHLI) and Mars Descent Imager (MARDI). Spectrometers to better characterize the composition of minerals on the Martian surface: Alpha Particle X-Ray Spectrometer (APXS), Chemistry & Camera (ChemCam), Chemistry & Mineralogy X-Ray Diffraction/X-Ray Fluorescence Instrument (CheMin), and Sample Analysis at Mars (SAM) Instrument Suite. Radiation detectors to get a sense of how much radiation bathes the surface, which helps scientists understand if humans can explore there – and if microbes could survive there. These are Radiation Assessment Detector (RAD) and Dynamic Albedo of Neutrons (DAN). Environmental sensors to look at the current weather. This is the Rover Environmental Monitoring Station (REMS). An atmospheric sensor that was primarily used during landing, called Mars Science Laboratory Entry Descent and Landing Instrument (MEDLI). The spacecraft launched from Cape Canaveral, Florida, on Nov. 26, 2011, and arrived on Mars on Aug. 6, 2012, after a daring landing sequence that NASA dubbed “Seven Minutes of Terror.” Because of Curiosity’s weight, NASA determined that the past method of using a rolling method with land bags would probably not work. Instead, the rover went through an extremely complicated sequence of maneuvers to land. From a fiery entry into the atmosphere, a supersonic parachute needed to deploy to slow the spacecraft. NASA officials said the parachute would need to withstand 65,000 lbs. (29,480 kg) to break the spacecraft’s fall to the surface. Under the parachute, MSL let go of the bottom of its heat shield so that it could get a radar fix on the surface and figure out its altitude. The parachute could only slow MSL to 200 mph (322 kph), far too fast for landing. To solve the problem, engineers designed the assembly to cut off the parachute, and use rockets for the final part of the landing sequence. About 60 feet (18 m) above the surface, MSL’s “skycrane” deployed. The landing assembly dangled the rover below the rockets using a 20-foot (6 m) tether. Falling at 1.5 mph (2.4 kph), MSL gently touched the ground in Gale Crater about the same moment the skycrane severed the link and flew away, crashing into the surface. NASA personnel tensely watched the rover’s descent on live television. When they received confirmation that Curiosity was safe, engineers pumped fists and jumped up and down in jubilation. News of the landing spread through traditional outlets, such as newspapers and television, as well as social media, such as Twitter and Facebook. One engineer became famous because of the Mohawk he sported on landing day. The rover has a few tools to search for habitability. Among them is an experiment that bombards the surface with neutrons, which would slow down if they encountered hydrogen atoms: one of the elements of water. Curiosity’s 7-foot arm can pick up samples from the surface and cook them inside the rover, sniffing the gases that come out of there and analyzing them for clues as to how the rocks and soil formed. Curiosity can drill into each of these blocks and place a sample into its oven to measure its composition. Researchers will then see if organics appear that were not supposed to be in the block. If so, scientists will likely determine these are organisms hitchhiking from Earth. High-resolution cameras surrounding the rover take pictures as it moves, providing visual information that can be compared to environments on Earth. This was used when Curiosity found evidence of a streambed, for example. In September 2014, Curiosity arrived at its science destination, Mount Sharp (Aeolis Mons) shortly after a NASA science review said the rover should do less driving and more searching for habitable destinations. It is now carefully evaluating the layers on the slope as it moves uphill. The goal is to see how the climate of Mars changed from a wet past to the drier, acidic conditions of today. Curiosity’s prime mission is to determine if Mars is, or was, suitable for life. 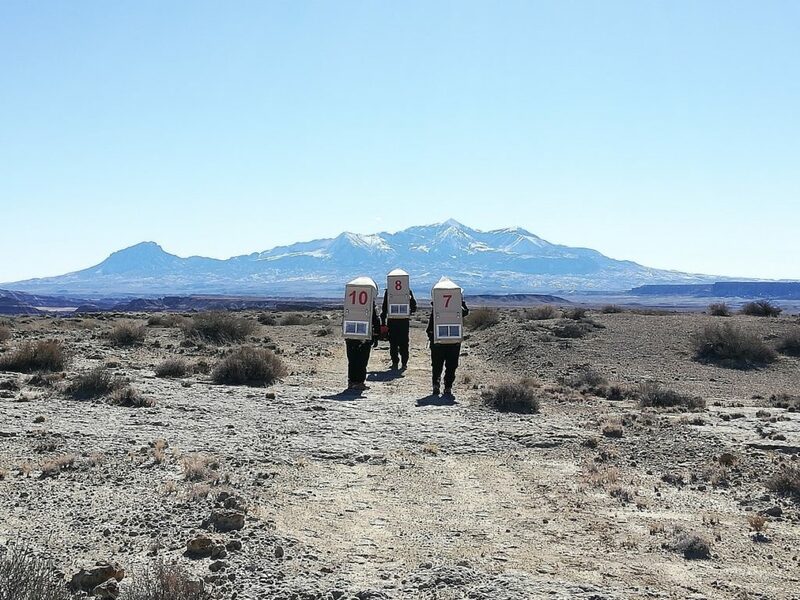 While it is not designed to find life itself, the rover carries a number of instruments on board that can bring back information about the surrounding environment. Scientists hit something close to the jackpot in early 2013, when the rover beamed back information showing that Mars had habitable conditions in the past. Powder from the first drill samples that Curiosity obtained included the elements of sulfur, nitrogen, hydrogen, oxygen, phosphorus and carbon, which are all considered “building blocks” or fundamental elements that could support life. While this is not evidence of life itself, the find was still exciting to the scientists involved in the mission. Scientists also detected a huge spike in methane levels on Mars in late 2013 and early 2014, at a level of about 7 parts per billion (compared to the usual 0.3 ppb to 0.8 ppb). This was a notable finding because in some circumstances, methane is an indicator of microbial life. But it can also point to geological processes. In 2016, however, the team determined the methane spike was not a seasonal event. There are smaller background changes in methane, however, that could be linked to the seasons. Curiosity also made the first definitive identification of organics on Mars, as announced in December 2014. Organics are considered life’s building blocks, but do not necessarily point to the existence of life as they can also be created through chemical reactions. “While the team can’t conclude that there was life at Gale Crater, the discovery shows that the ancient environment offered a supply of reduced organic molecules for use as building blocks for life and an energy source for life,” NASA stated at the time. Besides hunting for habitability, Curiosity has other instruments on board that are designed to learn more about the environment surrounding it. Among those goals is to have a continuous record of weather and radiation observations to determine how suitable the site would be for an eventual human mission. Curiosity’s Radiation Assessment Detector runs for 15 minutes every hour to measure a swath of radiation on the ground and in the atmosphere. Scientists in particular are interested in measuring “secondary rays” or radiation that can generate lower-energy particles after it hits the gas molecules in the atmosphere. Gamma-rays or neutrons generated by this process can cause a risk to humans. Additionally, an ultraviolet sensor stuck on Curiosity’s deck tracks radiation continuously. In December 2013, NASA determined the radiation levels measured by Curiosity were manageable for a crewed Mars mission in the future. A mission with 180 days flying to Mars, 500 days on the surface and 180 days heading back to Earth would create a dose of 1.01 sieverts, Curiosity’s Radiation Assessment Detector determined. The total lifetime limit for European Space Agency astronauts is 1 sievert, which is associated with a 5-percent increase in fatal cancer risk over a person’s lifetime. The Rover Environmental Monitoring Station measures the wind’s speed and chart its direction, as well as determining temperature and humidity in the surrounding air. By 2016, scientists were able to see long-term trends in atmospheric pressure and air humidity. Some of these changes occur when the winter carbon-dioxide polar caps melt in the spring, dumping huge amounts of moisture into the air. In June 2017, NASA announced Curiosity had a new software upgrade that would allow it to pick targets by itself. The update, called Autonomous Exploration for Gathering Increased Science (AEGIS), represented the first time artificial intelligence was deployed on a faraway spacecraft. Vapors from a “wet chemistry” experiment filled with a fluid called MTBSTFA (N-methyl-N-tert-butyldimethylsilyl-trifluoroacetamide) contaminated a gas-sniffing analysis instrument shortly after Curiosity landed. Since the scientists knew the collected samples were already reacting with the vapor, they eventually derived a way to seek and preserve the organics after extracting, collecting and analyzing the vapor. Curiosity had a dangerous computer glitch just six months after landing that put the rover within only an hour of losing contact with Earth forever, NASA revealed in 2017. Another brief glitch in 2016 briefly stopped science work, but the rover quickly resumed its mission. Engineers had mechanical trouble with Curiosity’s drill starting in ate 2016, when a motor linked with two stabilizing posts on the drill bit ceased working. NASA examined several alternative drilling techniques, and on May 20, 2018 the drill obtained its first samples in more than 18 months. It should be noted that Curiosity isn’t working alone on the Red Planet. Accompanying it is a “team” of other spacecraft from several countries, often working collaboratively to achieve science goals. NASA’s Mars Reconnaissance Orbiter provides high-resolution imagery of the surface. Another NASA orbiter called MAVEN(Mars Atmosphere and Volatile EvolutioN mission) examines the Martian atmosphere for atmospheric loss and other interesting phenomena. Other orbiting missions include Europe’s Mars Express, the European ExoMars Trace Gas Orbiter, and India’s Mars Orbiting Mission. As of mid-2018, Curiosity is working on the surface along with another NASA rover called Opportunity, which has been roaming the surface since 2004. Opportunity was initially designed for a 90-day mission, but remains active after more than 14 years on Mars. It also found past evidence of water while exploring the plains and two large craters. NASA’s Mars Odyssey acts as a communications relay for Curiosity and Opportunity, while also performing science of its own – such as searching for water ice. More surface missions are on the way shortly. NASA’s InSight mission – a stationary lander designed to probe the interior of Mars – launched for the Red Planet on May 5, 2018, and is expected to land on Nov. 26, 2018. The European Space Agency’s ExoMars rover should launch for Mars in 2020 to search for evidence of ancient life. And NASA also plans a successor rover mission called Mars 2020, which is closely based on Curiosity’s design. Mars 2020 will carry different instruments, however, to better probe for ancient life. It will also cache promising samples for a possible Mars sample return mission in the coming decades. In the more distant future, NASA has talked about sending a human mission to Mars – perhaps in the 2030s. In late 2017, however, the Trump administration tasked the agency with sending humans back to the moon first. His administration also requested that funds for the International Space Station cease in 2025, in part to make budgetary room for a moon space station initiative called the Deep Space Gateway. CAPE CANAVERAL, Fla. — NASA’s Opportunity, the Mars rover that was built to operate for just three months but kept going and going, rolling across the rocky red soil, was pronounced dead Wednesday, 15 years after it landed on the planet. Slide 1 of 16: A self-portrait of NASA’s Mars Exploration Rover Opportunity taken by the rover’s panoramic camera (Pancam) in late March 2014 shows effects of recent winds removing much of the dust from the rover’s solar arrays. Ever since the Mars rover Opportunity fell silent back in June 2018, NASA scientists have been trying to make contact it. The mission, which began when in landed on Mars in January 2004, was officially ended by NASA on Feb. 13, 2019. We take a look back at some of the amazing images the rover sent back from the red planet. (Pictured) A self-portrait of NASA’s Mars Exploration Rover Opportunity taken by the rover’s panoramic camera in late March 2014. © The Associated Press FILE – This illustration made available by NASA shows the rover Opportunity on the surface of Mars. The exploratory vehicle landed on Jan. 24, 2004, and logged more than 28 miles (45 kilometers) before falling silent during a global dust storm in June 2018. There was so much dust in the Martian atmosphere that sunlight could not reach Opportunity’s solar panels for power generation. (NASA via AP)Scientists consider this the end of an era, now that Opportunity and Spirit are both gone. Where Else Can We Find Life Inside Our Solar System? Out of the 8 planets and 173 moons of our Solar System, only Earth is known to support life. The third, blue rock from the Sun is our home, but what if the 8th moon of the 7th rock from the Sun also harbors life? 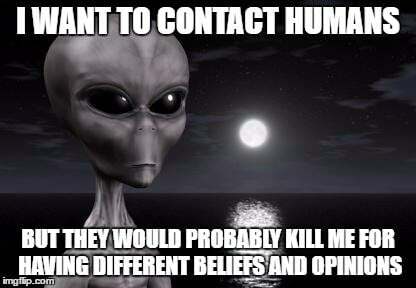 They would be our closest neighbors in the cosmos and maybe we could finally share our culture with them. Considered by many as the best candidate in our Solar System for finding life, Saturn’s sixth largest moon is the first name on this list. The surface of the icy moon is apparently 99% ice, with liquid water floating underneath. In 2005, NASA’s Cassini probe flew close to Enceladus and discovered the presence of carbon, hydrogen, nitrogen and oxygen – basically every organic molecule required for Earth-like life. 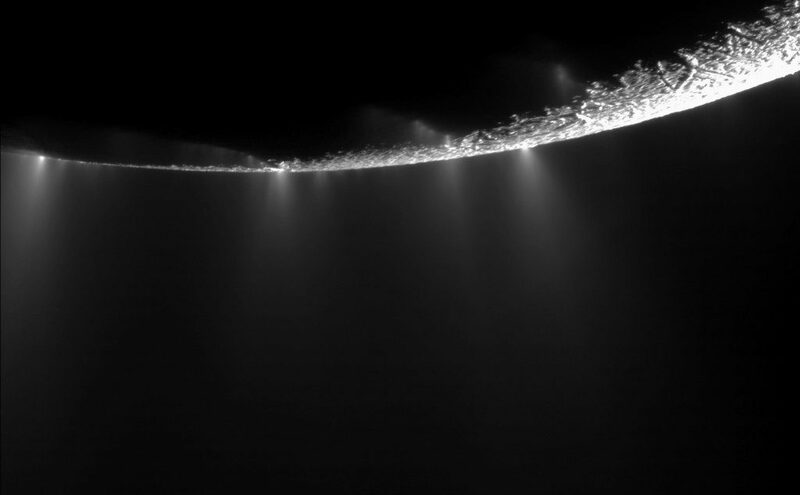 Enceladus also has hot hydrothermal activity in its core, which further validates the possibility of underground liquid water, and also heats the world to a welcoming temperature. A major factor favoring this moon is that it can easily be explored. As SETI Institute researcher Cynthia Phillips says, “Samples of whatever exists in those hidden aquifers are being continuously thrown into space, just waiting for us to grab.” A satellite sent with today’s technology could sift through the geyser spray to detect life, and a lander could slip down through a geyser to the uncharted oceans below. Some believe that the underground oceans are not old enough for life to have developed, but as NASA’s Chris McKay says, we don’t know how long it takes for life to ‘happen’. It could be five million years or 5 minutes. Next on the list for potential life is Jupiter’s fourth largest moon, Europa, which is quite interesting in its own right. It contains more water beneath its surface than all of Earth’s oceans combined. Estimated to be 10 kilometers thick, the ice cover would prohibit any kind of photosynthesis, meaning that any possible life would have to rely on the moon’s geothermal energy. This is not too much of a stretch, as similar vents on Earth actually do support life, such as crabs and tubeworms. Creative astronomers have suggested using an irradiated submarine to melt a hole in the surface and reach the vast oceans underneath. Microbial life could potentially survive near the hydrothermal vents on Europa, as it does on Earth. 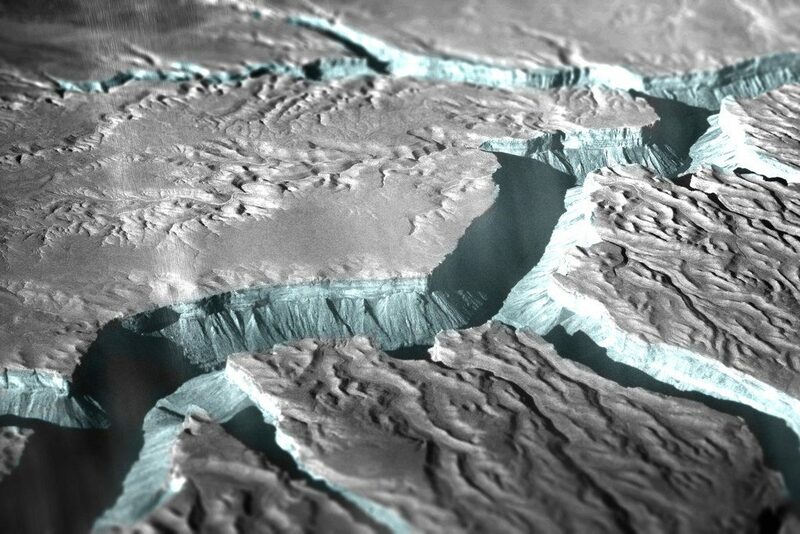 On May 12 2015, scientists announced that sea salt from a subsurface ocean may be coating certain geological features on Europa, suggesting that the ocean is interacting with the seafloor. 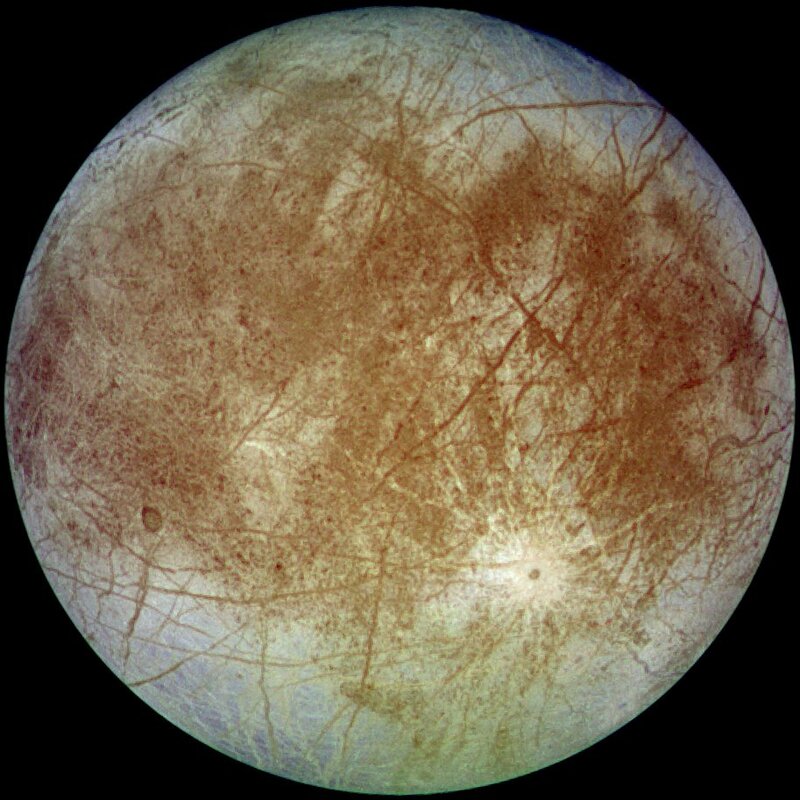 This may be important in determining if Europa could be habitable for life. The recent confirmation that liquid water does indeed flow on Mars has reopened the discussion about Martian life. Mars is our closest neighbor and scientists believe that it had the most Earth-like environment in all of Solar System a few billion years ago. Therefore, when we talk about Martian life, scientists are more optimistic about finding remains of life that had once been alive. It also looks like we have a great shot at some astro-paleontology on the red planet. Even dead microbes could answer many questions about how and if life spread across the Solar System. Particularly intriguing are the dark stripes that appear during the Martian summertime at Horowitz crater. These are likely to be salty water only inches beneath Mars’ dusty epidermis. A relatively simple probe could sample this muddy environment and give us a lot more answers about what really happened on this planet, and whether life had anything to do with it! 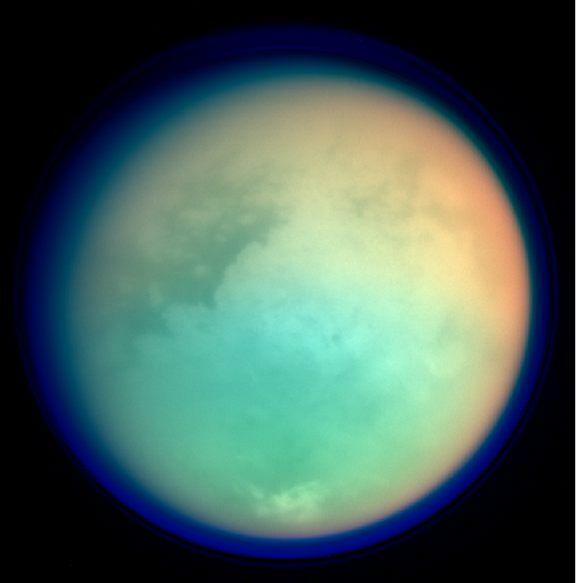 Titan is Saturn’s largest moon and might hold the secrets of life developing under its hazy atmosphere. Its thick atmosphere is rich in compounds that often mark the presence of living organisms, at least on Earth. For example, it’s the only other body in the solar system that has beaches, which means it has oceans that mingle with the surface, along with an atmosphere to act as an umbrella. The biggest difference, of course, is that these oceans are filled with liquid methane instead of water. Titan’s air is also filled with methane, which is usually destroyed by sunlight. On Earth, life constantly replenishes methane levels in the atmosphere, so life might similarly be responsible for the methane levels on Titan. Scientists believe that methane could act as a substitute for water for extraterrestrial life. When we talk about life on Mars, Enceladus or Europa, it could be very similar to life on Earth. However, life on Titan would be exciting because it would have to be totally unique. This would raise hopes of finding life on non-Earth-like environments. The ingredients for life, including all the elements from the periodic table, the chemical reactions, and other building blocks of life are found abundantly in our Solar System, yet we haven’t found that elusive “proof” quite yet. Even then, Earth remains the only planet that is supporting life. It’s also important to remember that life doesn’t need to be Earth-like; it could be vastly different, as in the case of Titan or Venus, whose surface temperature is around 450 degrees Celsius. There could even be carbon-based life 100 kilometers above Venus’ surface in the clouds, which have a striking similarity to Earth’s own cloudy environment. If we continue to investigate, we might not only find life in unexpected and seemingly inhospitable places, but we might also find life that looks very little like the life we currently understand. Who wants to go on a Mars mission? 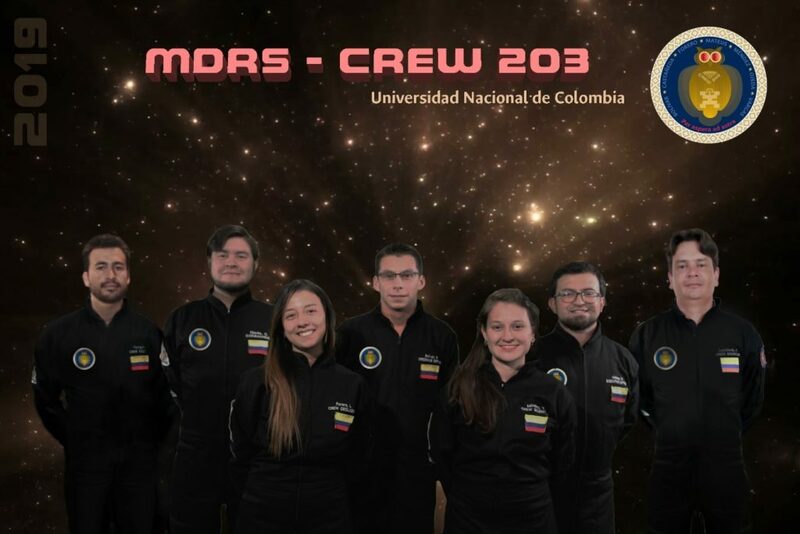 Crew 203 is the first time a 100% Colombian crew participates on the MDRS. It was 2 weeks rotation on which outreach, technology, and science projects were developed. The crew was comprised of 7 members, 1 of which operated remotely, the Crew Astronomer. The background of the crewmembers is on science and engineering majors, mostly focused on space applications, and planetary sciences and astrobiology. 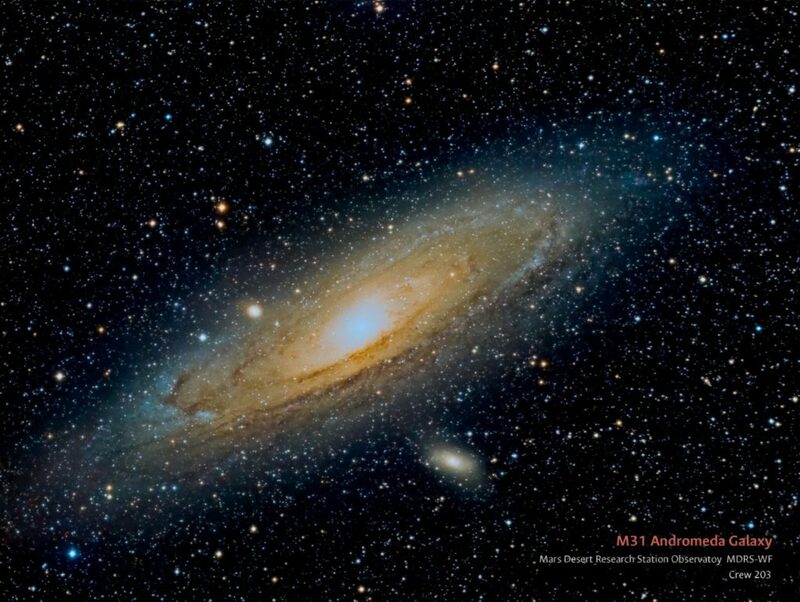 The initiative to develop the project arises from different interest on space exploration from research groups of Universidad Nacional de Colombia, the Aerospace Research and Development Group, GIDA-UN, the Astrobiology and Planetary Sciences Group, GCPA, and the National Astronomical Observatory. It is important to notice that Universidad Nacional de Colombia is the largest public university in the country, and has several majors, all together in the same campus, which leads to a highly interdisciplinary environment. The crew had 2 broad lines of work towards the work on the station, the first one is related to outreach, and the second one is related to science and technology. 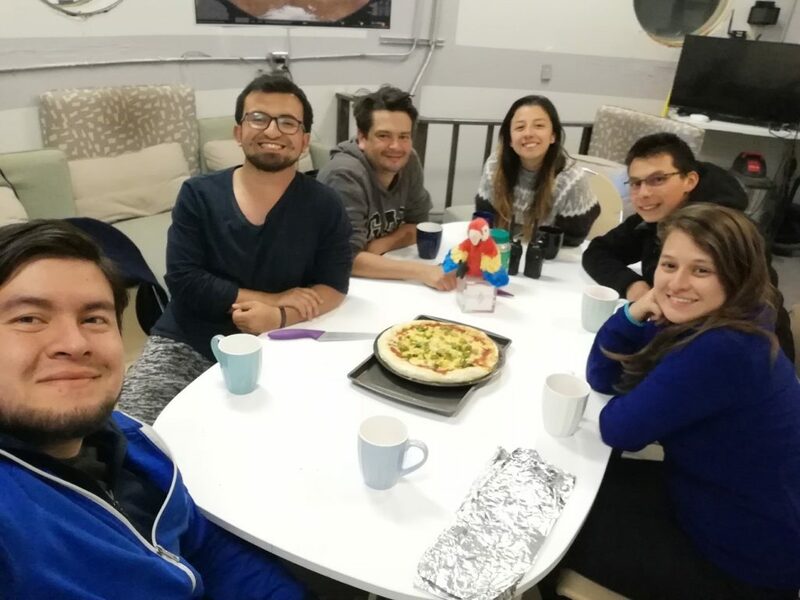 The interest in developing outreach projects is related to the fact that Colombia does not have a well-developed space field, and this kind of opportunities provide a platform to develop several types of outreach activities, from general to specialized public. In fact, as of the beginning of the rotation, the crew had received exposure to national media. The second line of work is related more specifically to the areas of expertise of the crewmembers, developing projects following years of studies and preparation, and, as it usually happens in space exploration, collaboration with teams left back on Earth. We are representing our country and university, and for that we picked two elements, the first one is our mascot, a red macaw, or Guacamaya, called Marsta Leticia, native from the forests of South America, and very representative because its feathers carry the colors of the flag of Colombia. The composed name, as traditionally Colombians have, is a transliteration of the name Marta, to include the word Mars, combined with Leticia, which is the capital city of the Amazonas department. 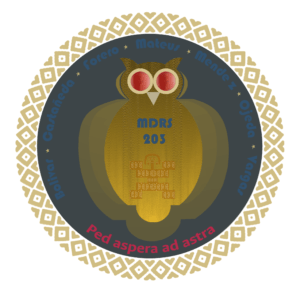 Second, our patch is dominated by the colors blue and gold, the owl represents our university, which is shaped like an owl, as designed by Architect Leopoldo Rother, the blue in the background represents Earth, and the red eyes of the owl represent that we have our sight set on Mars. Finally, the golden color represents the El Dorado legend, the ancient riches and traditions of our indigenous people. To successfully execute a crew rotation on a Martian analog comprised in its entirety by Colombian crewmembers, executing science, technology, and outreach projects. Learn about the dynamics of an analog mission, oriented towards future training of crews. Develop a series of scientific and technological projects oriented towards the future of space exploration. Generate contents which will serve as a basis for developing outreach projects and activities. MDRS Crew 203 wants to acknowledge and thank all the people and institutions that made this possible. It’s been a year-long process that required a significant amount of effort from several people. We would like to start by thanking The Mars society, in head of its president, Dr. Robert Zubrin, as well as Director Shannon Rupert, and Atila Meszaros, who made us feel safe and welcomed in this vastness. We would also like to thank all the Capcom officers who were ready to take our reports, comments, and bad jokes during these 2 weeks. And also, all the people behind the scenes working actively to make this possible, Dr. Peter Detterline, David Murray, Scott Davis, and all of those whose name I forget to mention, but surely helped us make our mission smoother and wonderful. We also want to thank Universidad Nacional de Colombia, our academic home, which allowed us to cross paths and dream about space together. The groups and institutions we belong to, The Aerospace Research and Development Group, GIDA-UN, The Planetary Sciences and Astrobiology Group, GCPA, The National Astronomical Observatory, OAN, and every one of the members which helped us even in the tiniest bit to make this possible. After having spent 14 days in the station, the crew considers the mission a success. While some of the experiments and research happened slower than expected, the general and specific goals were carried out successfully and we leave the station with a sense of accomplishment, and knowing that the experience acquired will serve to prepare future crews, and to develop better science and technology that will not only serve for the future of space exploration, but also for improving the quality of human life on Earth. The mission gained a lot of media reach on several nationwide newspapers and TV news, which served the purpose of letting people know this kind of research is doable by Colombians. Much of the contents generated during the mission will also be used to generate outreach activities, as well as academic production, contributing to the consolidation of a space sector within Colombia. It is important to note how the crew bonded on a personal level, and there was a very good environment for work and for personal life. Knowing how to balance those two aspects will be key for the future of space exploration and long term missions. The crew executed a total of 8 EVAs during the 2 weeks period at the MDRS. While EVAs are a fundamental element for exploration, on future space missions they won’t be frequent, due to the risks they present for the safety of the crew. The main goal of the EVAs for our crew was to perform sampling for Geological and Biological prospection of sites. 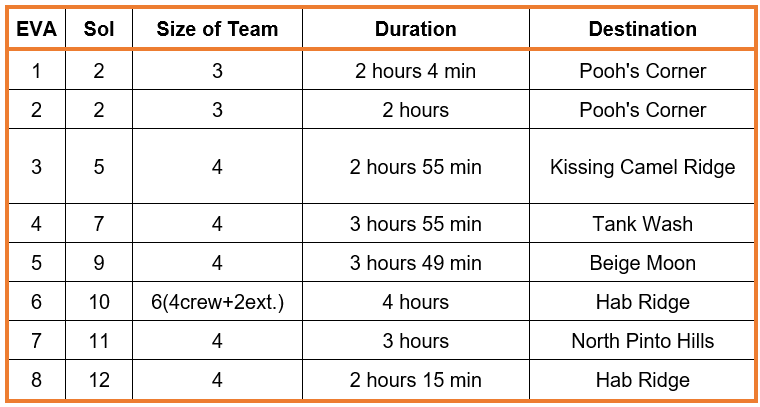 A total of 8 EVAs were performed, with a total duration of 24 hours. A brief summary of the research results is presented. For more information, please contact the researchers. The projects description can be found in the “Mission Plan” document. Title: Evaluation of germination of greens under different light wavelengths. We don’t have results yet, Because, the materials for build the necessary structures arrive to the station late, the experiment stay in process and David will collect the results in the next days. Title: Photogrammetry parameters of some samples of the MDRS region. Researchers: Liza Forero, Fabián Saavedra. Results: Some outcrops and rock samples were taken in situ. All the images that where obtain are being processed with other satellite images to create DEM´s (Digital Elevation Models). Each model is a 3D recreation of the photographed landscape. Title: Physic and chemical parameters of some samples of the MDRS region and sample processing with geobiologic potential. Researchers: Liza Forero, Yael Méndez. Results: Some grids were made in different areas of the MDRS zone, for each grid three parameters were analysed, conductivity, pH and absorbance, the results of each parameter lecture are being analysed and processed statistically and are going to be compare with an analogue in Colombia. Samples were collected in North Pinto Hills and Beige Moon region. These samples were characterized according to their physicochemical parameters, finding that, in these places alkalophilic microorganisms can be found, with a high availability of nutrients. This project could not be completed. The temperature of the incubator was not stable due to generator failures and thermal shock occurred, which affected the bacterial cultures. It is expected that next crews can resume the experiment. Title: Design and construction of an equipment for measuring, register and monitor the variables necessary for the characterization of evapotranspiration in soilless crops with simulation of regolith of Mars. An unexpected failure in the controller made the equipment unusable for taking measurements, a spare controller was requested but it didn’t reach the simulation time. The experiment will be developed on the campus of the National University of Colombia recreating the now known conditions of the Mars desert. Title: Evaluation of the germination of greens on analog Martian soil. Researcher: Hermes Bolivar, Fredy Castañeda, David Mateus. 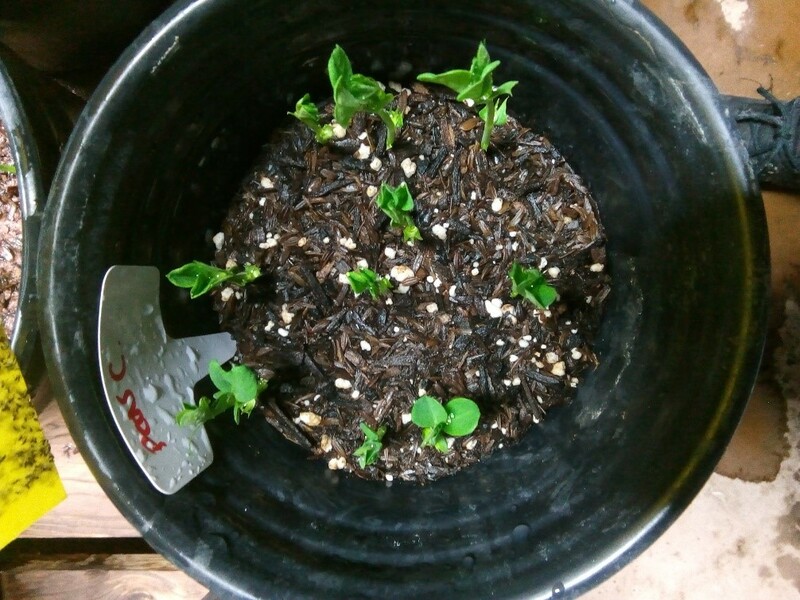 The project has been finished, we saw that the number of seeds on the Martian soil with the potting mix is less than the control, this result, show us the difficult for culture with the Martian soil and require of more research. In general, the performance of the station was nominal. Apart from some issues with the diesel generator and a couple suit batteries, there were no anomalies. We consumed all the proteins provided, as well as most of the snacks. Water consumption was measured to be 530gal, plus the greenhab usage, which was enough for food, drink, and basic hygiene. Mission Support was profoundly helpful and was very responsive to reports and requests. We’d like to suggest the Mission Support mailing list to be updated from the beginning of the field season, so that crews will be aware of the situation. Don’t over estimate the time for science you have on the station, keeping it up will be demanding. Prepare your projects with time, find out what’s available at the station before arriving and plan accordingly. Food is fundamental, don’t starve, you have enough food, and get some cooking skills. A fine plate of food can lift the crew’s spirit. Read the handbook, it’s there for a reason…! The Instructional Materials Reviewers and Content Review Experts reviewed programs to determine alignment to the SBE adopted criteria outlined in chapter 13 of the CA Science Framework. A list of the 29 approved and 5 non-approved programs is posted on the CDE’s website. This review is an initial review and does not make claims about the quality of the programs, rather it indicates that the programs have met the minimum stated guidelines indicated in the CA Science Framework and adopted by the SBE. Local education agencies can view the Report of Findings for each program on the California Department of Education website. The next step is for school districts to review materials. The district level review is tasked with looking at the quality of the programs as opposed to the presence or absence of CA NGSS elements. Additionally, the district level review is looking for instructional materials that are a good fit for the learning needs of the students in their district. Something that works well for one district may not be as good a fit for another district – each district has unique needs and strengths. 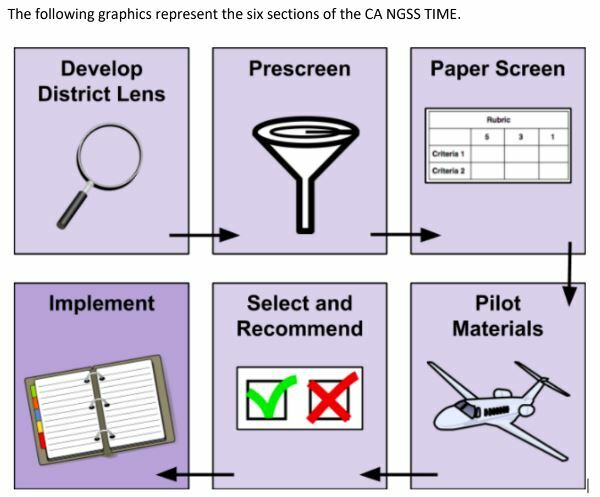 Starting with other NGSS evaluation tools, the collaborative developed a California toolkit called CA NGSS TIME (California NGSS Toolkit for Instructional Material Evaluation). CA NGSS TIME is intentionally different from previous toolkits. It embeds specific professional learning components so that team members become more knowledgeable about NGSS before they begin reviewing materials for potential adoption. CA NGSS TIME helps districts to 1) select materials that meet district needs, 2) allow for in-depth analysis of instructional materials to meet a range of NGSS-aligned criteria; 3) provide a plan for piloting and implementation, and 4) provide professional learning. All of this is done by reviewing programs to find evidence for making informed decisions. Part of the process includes documenting the data about the strengths and limitations of different programs. This enables the district teams to use evidence to argue for program adoption decisions. It also provides the district with information about future professional learning needs and possible supplements or augmentations needed for a selected program(s) (recognizing that no program is going to be a perfect fit, teachers, and districts will need to make tweaks to meet their needs). The importance of this work did not escape the CA NGSS Collaborative or the many partners up and down California. To ensure that County Offices of Education (COE) were not expected to do this without assistance, the funded proposal included support for every county to send a team of up to 5 people. In addition to county office science leads who will support their local teams, County Partnership Science Teams could include district-level coaches, TOSAs, teachers and principals, higher education faculty, CA Science Project Directors, and informal science center leaders. Many of the experienced session leaders from CA NGSS Rollouts 1-4 were also on these teams. The idea is to make sure there are enough people in every county, and across counties when needed, to provide the CA NGSS TIME learning opportunity which is so vital to California’s successful implementation of the CA NGSS TIME. After the training for COE Teams, the California Department of Education finalized the formatting of the CA NGSS TIME for widespread distribution. What Does CA NGSS TIME Entail? As you may have heard or can surmise from what is written above, CA NGSS TIME is not business as usual. The training for teams to become versed on CA NGSS TIME is three days long. (Different COEs are meeting this three-day requirement in different ways.) While this is different from past adoptions, it is the new norm for future adoptions in California. Moving forward, content area adoption processes will have toolkits which embed professional learning to help adoption teams make the most out of the process. Adoption of instructional materials doesn’t happen often. The adoption process and resulting purchases represent a major expenditure of funds and the decisions have instructional implications for years. It is worth the time and effort to do the process in an informed, thoughtful manner. “We adopted what looked familiar to teachers in math and have been backtracking to clarify what Common Core math means since the adoption. The selection was a failure and costly. We don’t want the same for science.” An administrator commenting on the value of having the adoption team be trained in how to look for something different and how CA NGSS TIME can help the district make better choices. There are six sections in the CA NGSS TIME process. Throughout the process, teams are looking for evidence within the instructional material about the quality of NGSS aligned features, a fit for the district, and eventually, usability and fit for the classroom (via the piloting). The chart below, taken from the Introduction to the CA NGSS TIME, describes the different sections. Section 1: Develop District Lens. Preparing the team to evaluate instructional materials based on the district’s unique needs is an important part of the adoption process because it can assist adoption committees in selecting the best possible programs for their particular student population. Establishing a profile of the district’s needs and resources creates this lens. The District Lens can serve as a guide that will lead to an informed perspective regarding the needs of students and teachers in this adoption cycle. Section 2: Prescreen. The Prescreen process narrows the field of programs to the most promising options. The Prescreen process does not provide a thorough vetting of resources and is not sufficient to support claims of being designed for the NGSS. Section 2 begins broadly in scope and moves toward a more targeted examination of CA NGSS alignment. The tasks in section 2 include a broad look at each program using guiding statements followed by a standards and evidence gathering activity to help districts determine which programs move forward in the adoption process. Prior to the activities in section 2, the district needs to obtain copies of instructional materials. Section 3: Paper Screen. The Paper Screen process gives the adoption committee an opportunity to examine instructional materials prior to piloting programs. The whole committee conducts a deeper, more thorough investigation of each of the programs selected in section 2: Prescreen. An essential component of section 3: Paper Screen is for the adoption committee to engage in a shared professional learning experience and calibrate themselves using resources not under review. This essential component of section 3: Paper Screen should not be skipped. Using evidence and rubrics, this deeper dive leads districts through a process for determining which programs to pilot. Section 4: Pilot Materials. The Pilot Materials process allows for analyzing instructional materials while using them in classrooms. The instructional materials used in this process are chosen based on section 3: Paper Screen. This gives a more thorough analysis of each program under review and allows for additional evidence to be used in section 5: Select and Recommend. Section 5: Select and Recommend. The Select and Recommend process provides a decision-making framework to support the adoption committee in coming to a consensus about the instructional materials to be adopted. This uses evidence and data from sections 1–4 as support for selections. Section 6: Implement. Provides tools to support planning and monitoring the implementation of adopted instructional materials. The process of reviewing materials is to help districts find evidence within instructional materials that demonstrate alignment with the CA NGSS, California’s Environmental Principles and Concepts (EP&Cs), the instructional shifts of NGSS, and a fit with their own district’s needs. It is an in-depth look at materials so that teams make informed choices and can know how best to use the selected materials. The process is one in which teams come to a consensus about the quality of the programs. The teams utilize the various rubrics in the Toolkit and the evidence they collect from the instructional materials to document and come to decisions. Teams need to participate in some practice using the rubrics and arguing from evidence to reach consensus before they start to review programs. The Toolkit provides that experience and calibration. As you’ll read below, your County Office of Education will have opportunities for your district team to learn how to implement the CA NGSS TIME to help you make good adoption decisions. The district team should be tasked with selecting and recommending instructional materials, but also with developing a plan for implementing the program. You will note Section 6 of the CA NGSS TIME is about implementation. The Paper Screen, section 3 of the Toolkit, has district teams looking at instructional programs with an eye towards what students learn (phenomena/problems, all three dimensions of CA NGSS, the EP&Cs, and logical sequence of learning), how students learn (the quality of providing powerful learning experiences that engage and change student thinking about phenomena/problems), how student progress is monitored (how are students assessed) and finally, how teachers are supported (how the program materials support teachers to facilitate student learning). Each pass through the instructional materials has the team looking for the presence of these features and evaluating the quality of what is found. This is all done through a lens of ‘what would high-quality materials look like that are designed for implementation of CA NGSS?’ This iterative process of review and reflection about the materials using different lenses allows district teams to become fine-tuned regarding high-quality instruction. This in-depth approach helps teachers avoid the pitfall of selecting materials that fall short of the high standards demanded for all science for all students. On the surface, this seems like a big time commitment and lots of work. We would argue, however, that the investment of time and effort is well worth it. Not only will your district team learn more about your district, district needs, and the CA NGSS, your team will be better equipped to pilot, adopt, and implement materials that make the most sense for the district. The comment above by an administrator who lamented the poor decision made during a math adoption couples nicely with the comment below from a teacher who is on her county’s County Partnership NGSS TIME Training Team about feeling empowered to make good decisions. Districts will need to identify the team to serve on the adoption committee. The team should include stakeholders across the grade bands and representative of the key constituents (students with special needs, English learners, GATE, etc.). At least one administrator should serve on the team. The importance of a team doing the work, as opposed to a curriculum leader or TOSA working in isolation, is the thoughtful discussions that can take place when reviewing and evaluating programs. As noted above, the training for CA NGSS TIME is three days. Once district teams have been identified, they should determine when their County Office of Education is offering trainings. COEs, CDE, CCSESA, and the NGSS Collaborative all strongly encourage teams to participate in the COE three-day training, the CA NGSS TIME toolkit is designed to be used with training or facilitation. District teams must get trained by their COE team. There is learning that takes place during the training, and it is important for teams to participate in the full training of TIME, even if they are using it “off the shelf” without COE facilitation. The training will help you learn more about NGSS and quality instructional materials. Additionally, you will be faster and more efficient reviewing science programs under consideration because you will be familiar with the process and the rubrics. For the first time as a teacher, I feel empowered to make the right decision about instructional materials that will be the best for students. A middle school science teacher who attended Sacramento CA NGSS TIME training. To find out when County Offices of Education are offering their CA NGSS TIME training opportunities you can visit the CSTA Calendar of Events. Refine the search to only look for CA NGSS TIME events. Does my team need to have completed the CA NGSS TIME: California’s Toolkit for Instructional Materials Evaluation training prior to attending publishers’ fairs? No, your team does not need to complete the CA NGSS TIME: California’s Toolkit for Instructional Materials Evaluation prior to attending the publisher fairs. However, completing the CA NGSS TIME training prior to attending the publisher fairs will give the team a lens through which to get a better overall sense of what is being offered by the publishers in terms of the design characteristics of instructional materials aligned with the CA NGSS. CA NGSS TIME provides rubrics that will help your team judge the presence and quality of phenomena, three dimensions, instructional coherence, EP&Cs, student work, assessment, support for teachers, and overall program features necessary to meet the shifts in the instructional materials required to implement the CA NGSS. Is attending a publisher fair still important for the district team? Yes, attending a publisher fair will allow the team to begin the pre-screen process, initiate contacts with the publishers, and get an overall sense of what is being offered by the publishers. A single look at the instructional materials, at a publisher fair, does not, of course, provide a thorough vetting of resources and is not sufficient to support claims of the being designed for the NGSS. It is a first step in a thorough process of adopting instructional materials. What should the team be looking for? Prior to attending a publisher fair, the team should have completed the “Develop a District Lens” section of the CA NGSS TIME. This process prepares the team to evaluate instructional materials based on the district’s unique needs. Establishing a profile of the district’s needs and resources creates this lens. The District Lens can serve as a guide that will lead to an informed perspective regarding the needs of students and teachers in this adoption cycle. Only then will the team be equipped to evaluate the presence and quality of phenomena, three dimensions, instructional coherence, EP&Cs, student work, assessment, support for teachers, and overall program features necessary to meet the shifts in instructional materials required to implement the CA NGSS. Why is the CA NGSS TIME training three days long? The CA NGSS, adopted by the SBE in 2013, are very different science standards than have ever been adopted in California. Phenomena-driven, three-dimensional instruction requires a new way to support instruction. In order to conduct a thorough examination and vetting of the instructional materials, your team needs to be calibrated on the features and components of the CA NGSS TIME rubrics. To be completely ready to examine, evaluate, and pilot instructional materials designed for the CA NGSS the preparation of the team is critical to an informed process. It has been more than a decade between the adoption of CA NGSS and the previous standards. Significant shifts in all aspects of teaching have occurred at that time. Therefore it makes sense to include a professional learning component into the toolkit so that teams are aware and informed about those shifts as they begin the review process. Who should be on the instructional review team for our school/district? The instructional review team should consist of the stakeholder groups identified in your District Lens. Teachers who have completed the paper screen and pilot processes of the CA NGSS TIME are critical members of the review team. These members will have the deepest insight into the instructional materials. Teachers who have not participated in the paper screen and pilot processes of the CA NGSS TIME are also important to review team members, as the materials will need to stand alone once they are adopted and made available to all teachers in the district. Select review team members to correspond to the grade levels under consideration. If the district is adopting K-8 instructional materials, then the review team should consist of teachers from these grade levels, likewise, for high school adoption review teams.